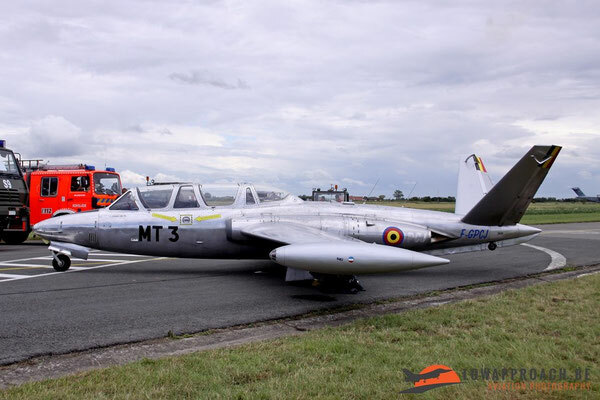 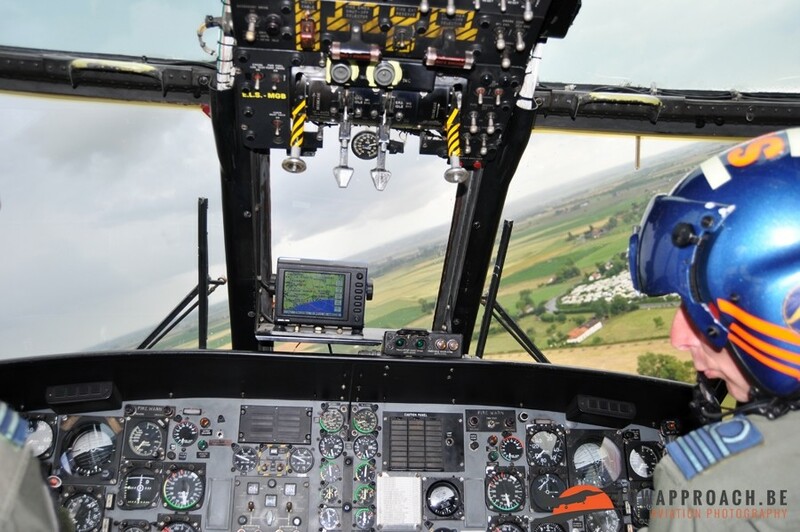 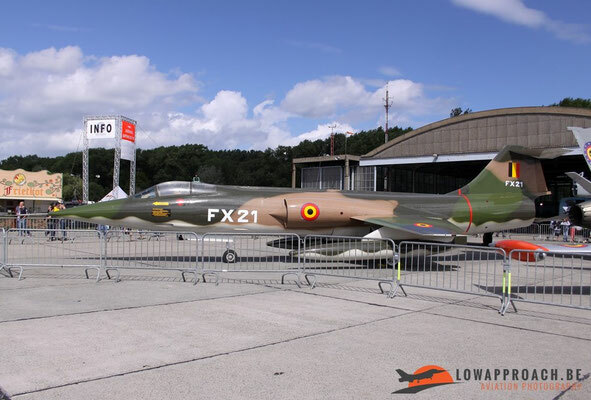 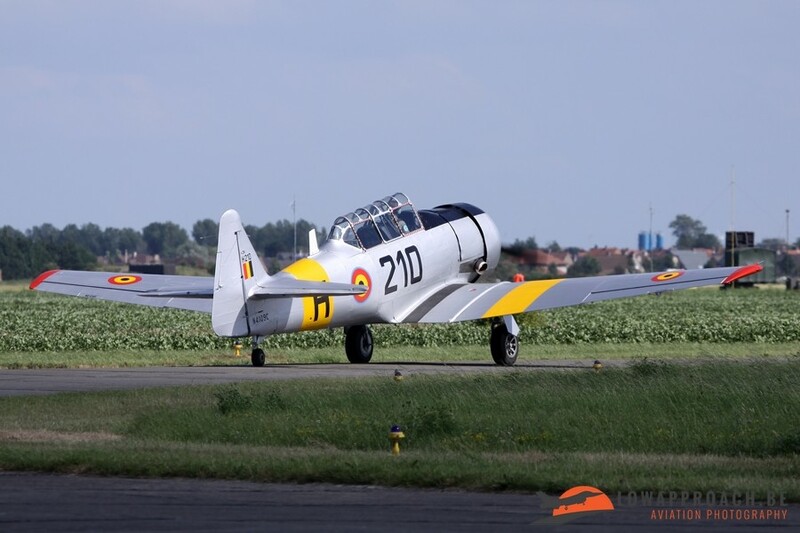 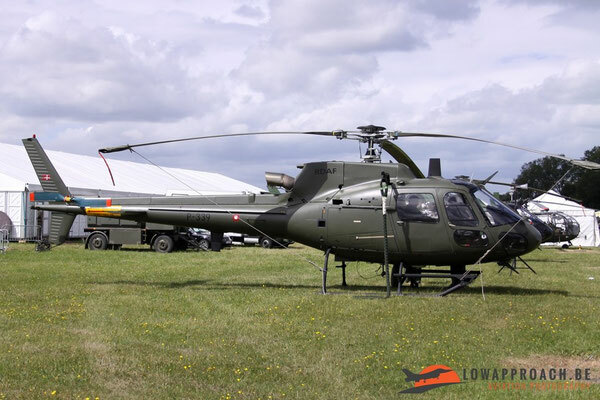 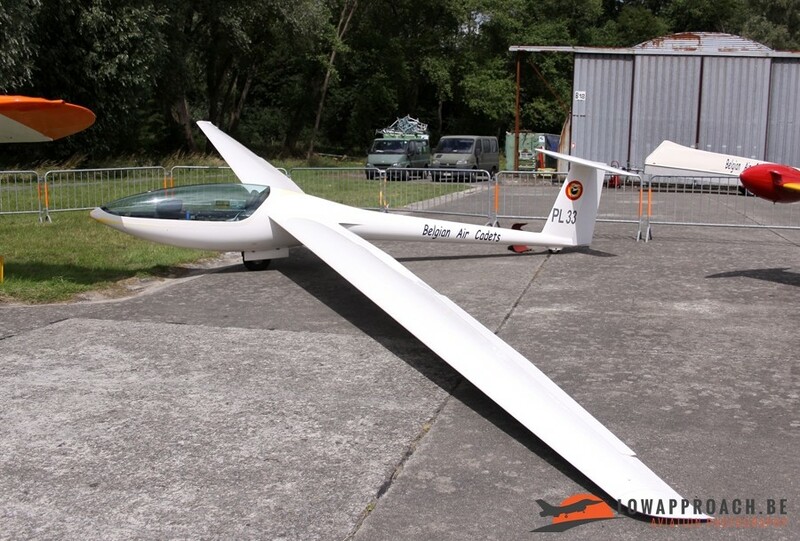 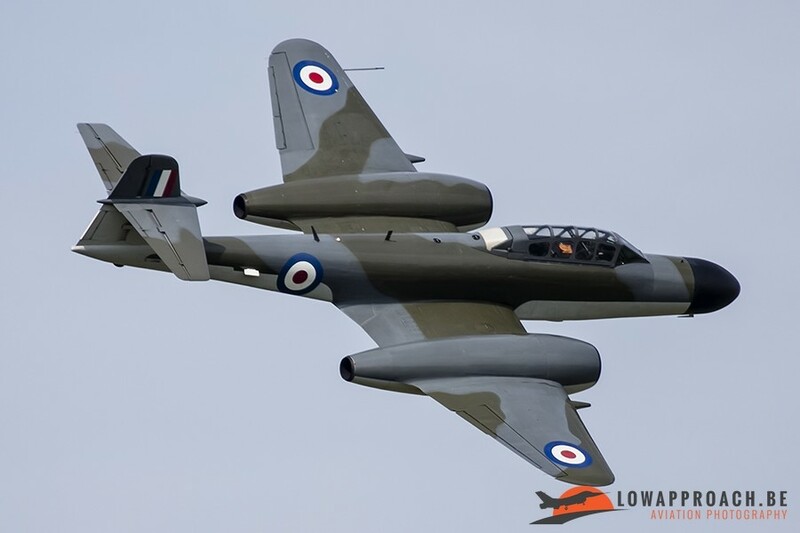 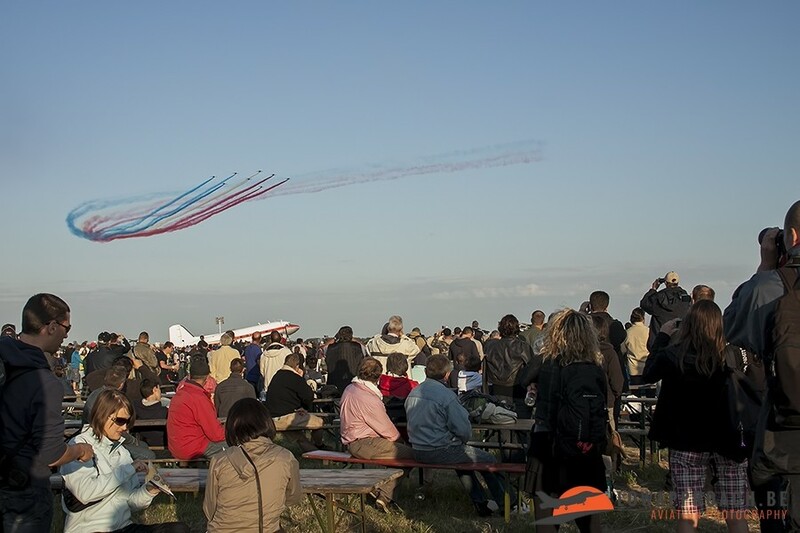 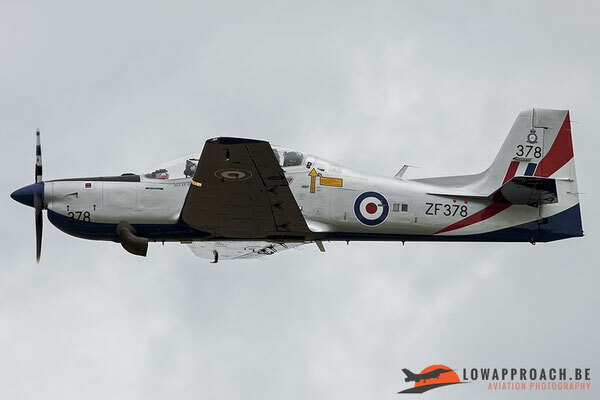 On Wednesday 6th and Thursday 7th of July 2011, Coxyde Air Base was the place to be for aviation enthusiasts. 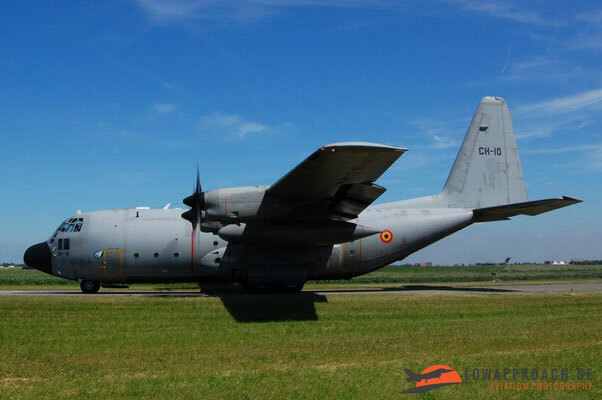 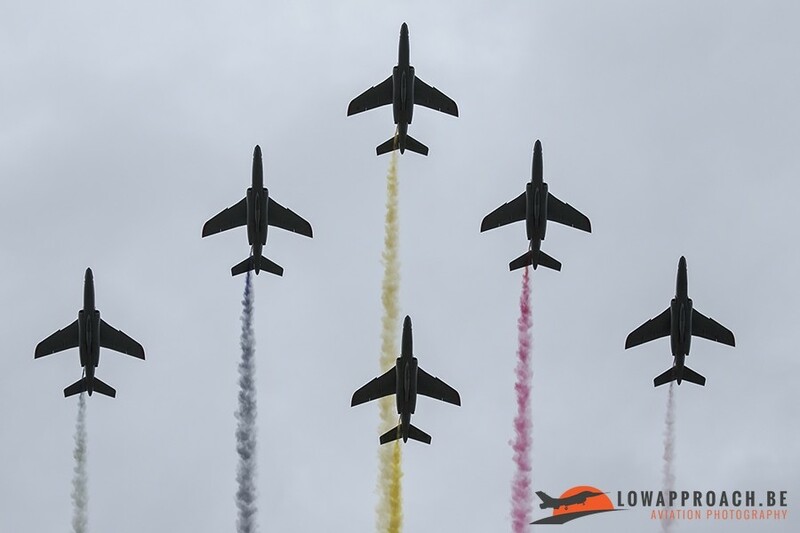 During these days the Belgian Air Force held their international airshow. 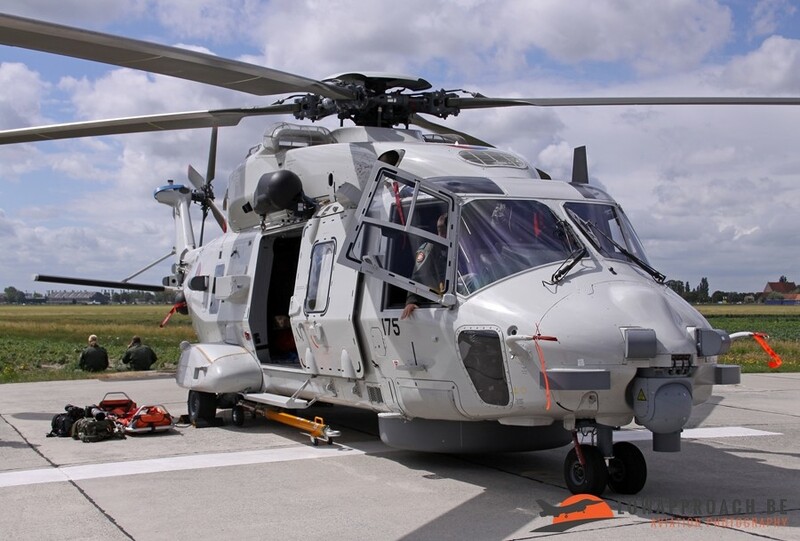 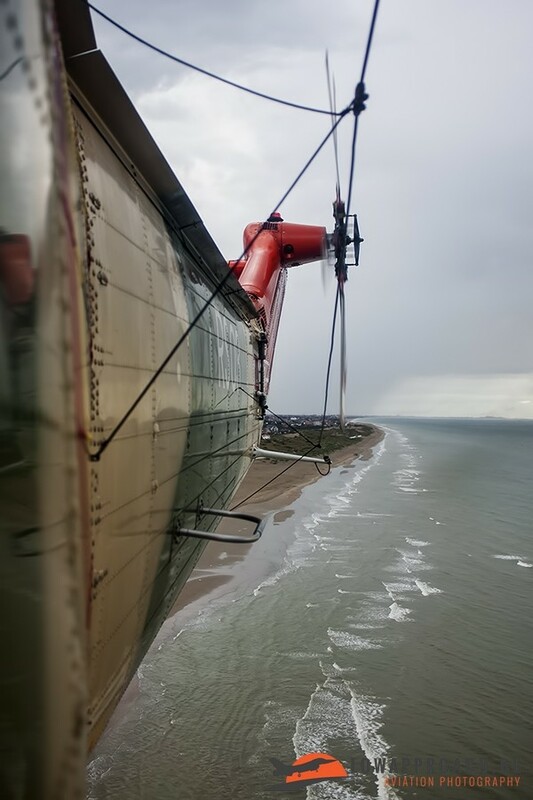 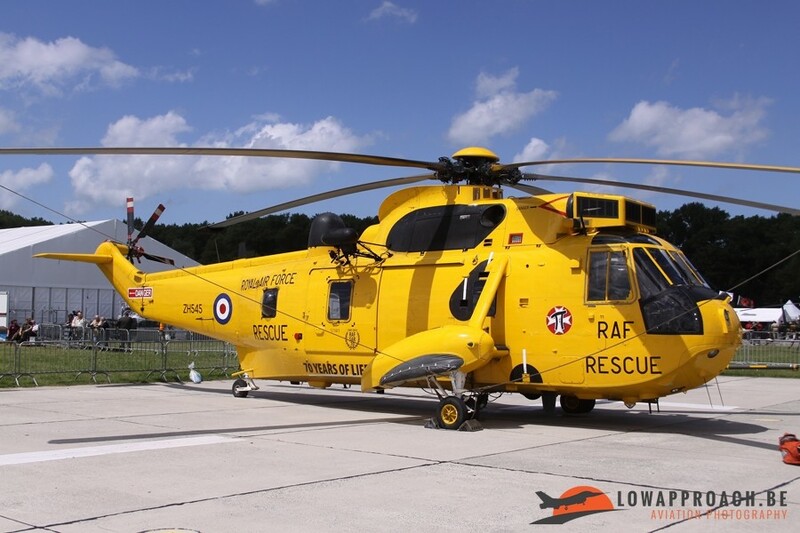 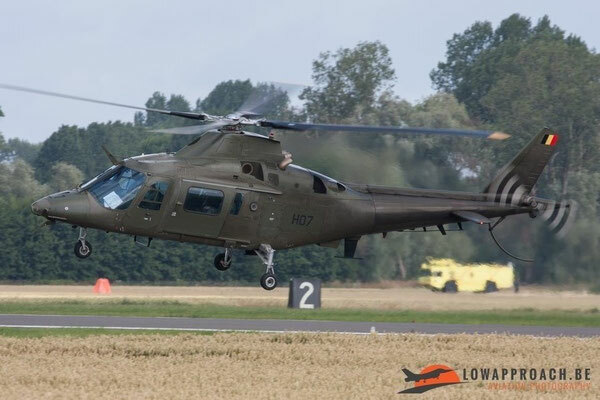 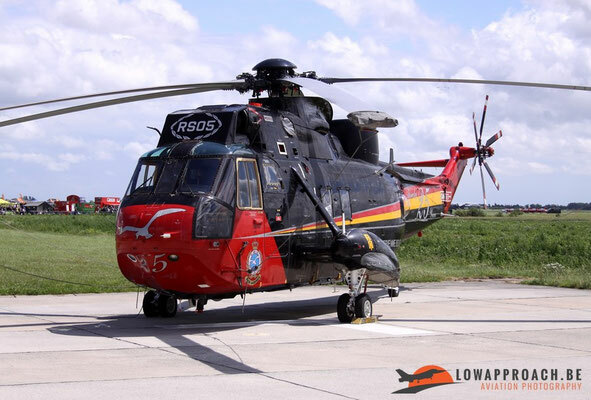 Coxyde Airbase is home of the 40th squadron flying the Westland Sea King MK.48 and the Sud Aviation 316B Alouette III (and since 2013 also home of the NH-90 NFH). 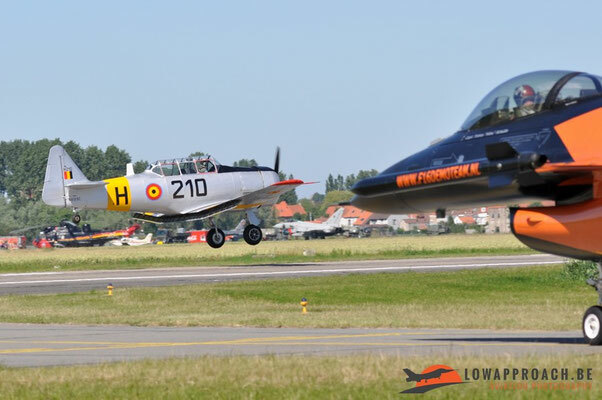 The airshow at Coxyde could be seen as one of the biggest airshows in Europe in 2011 because the Belgian Air Force had quite a few things to celebrate. 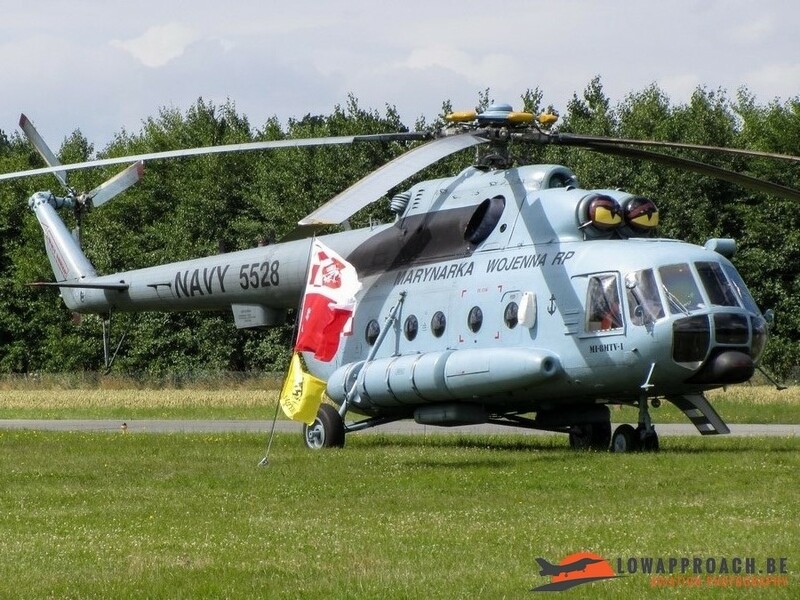 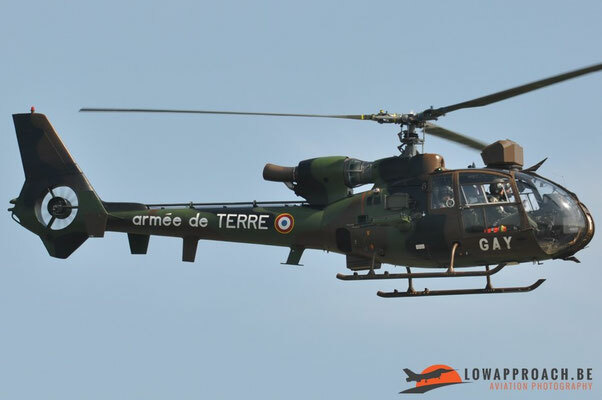 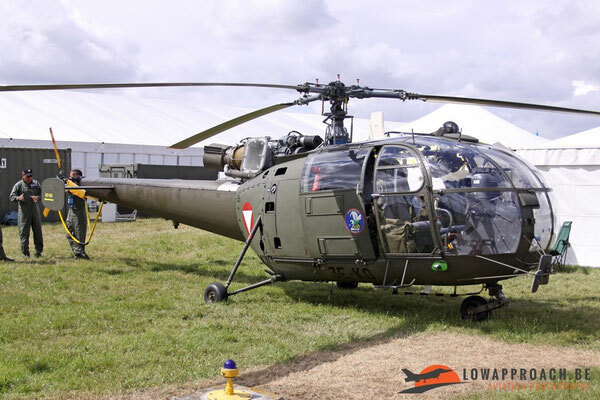 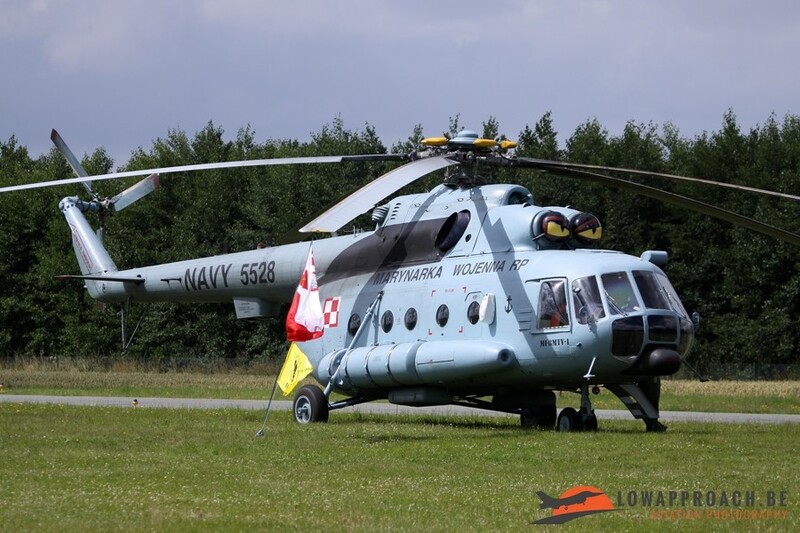 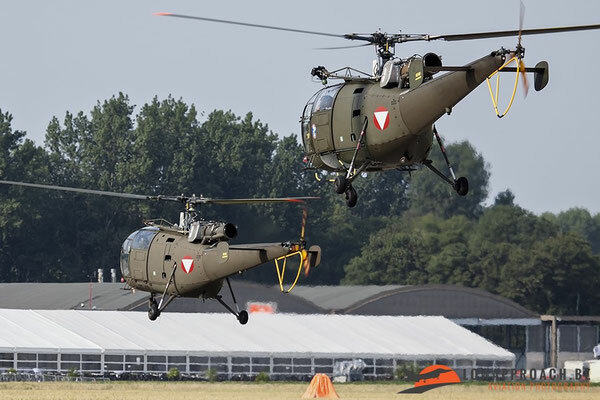 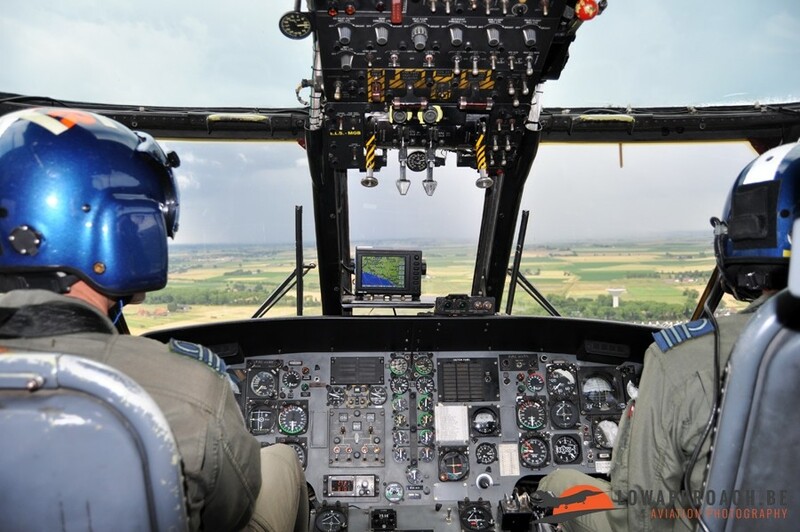 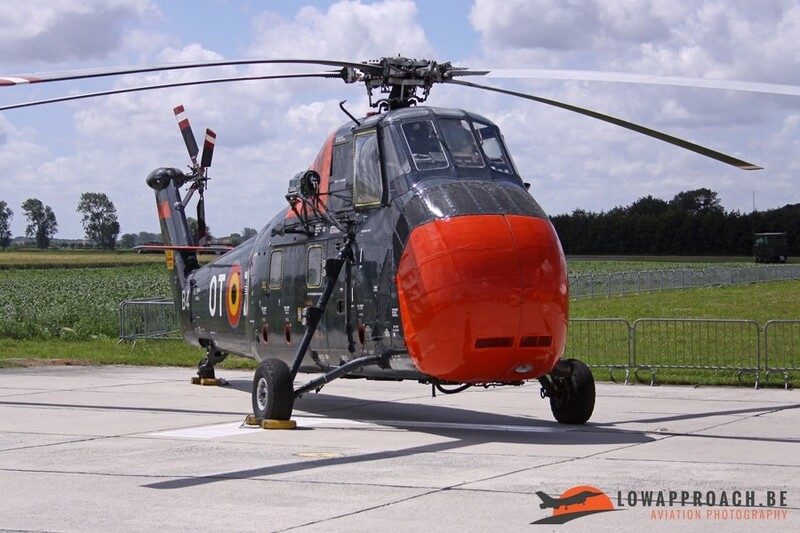 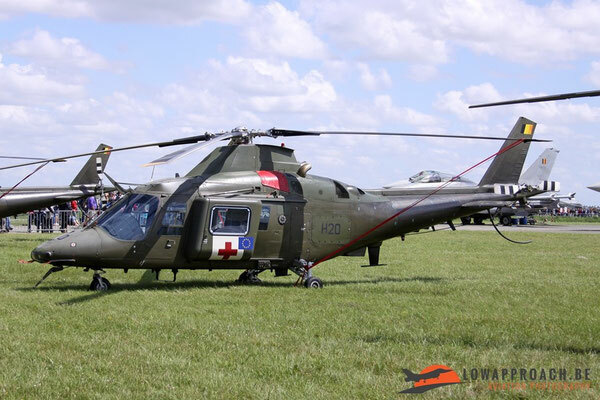 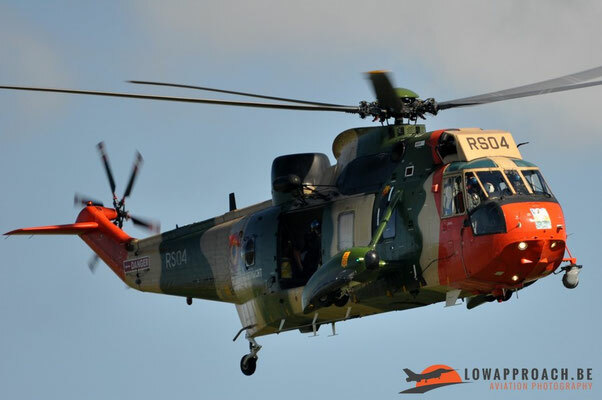 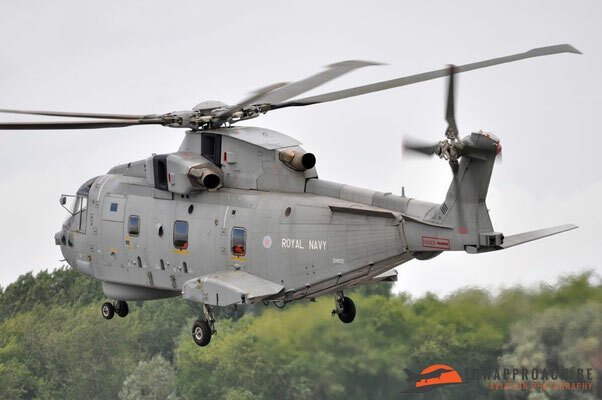 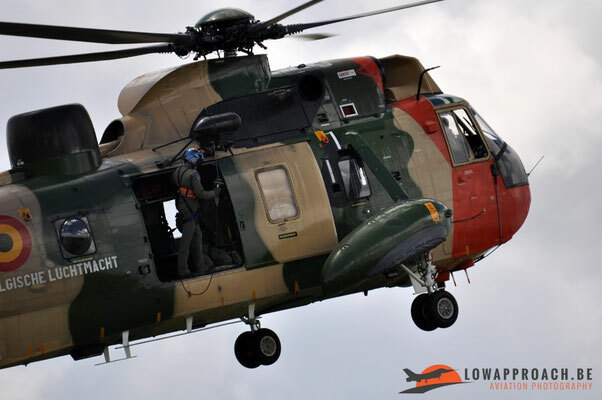 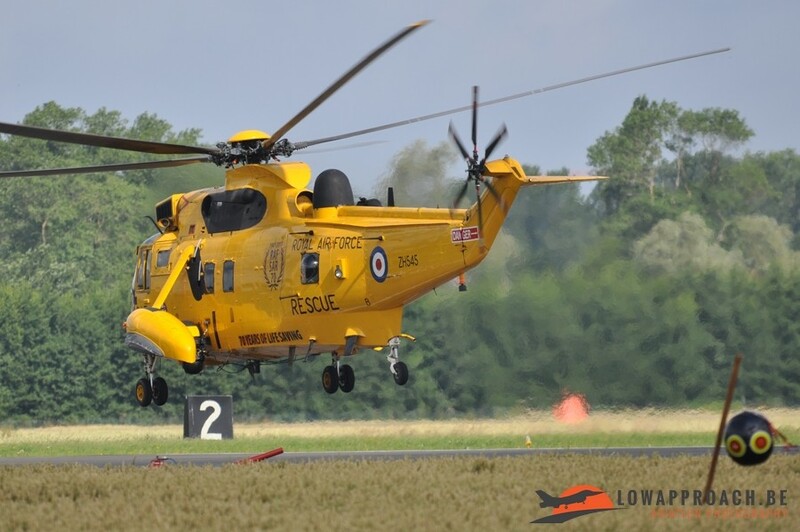 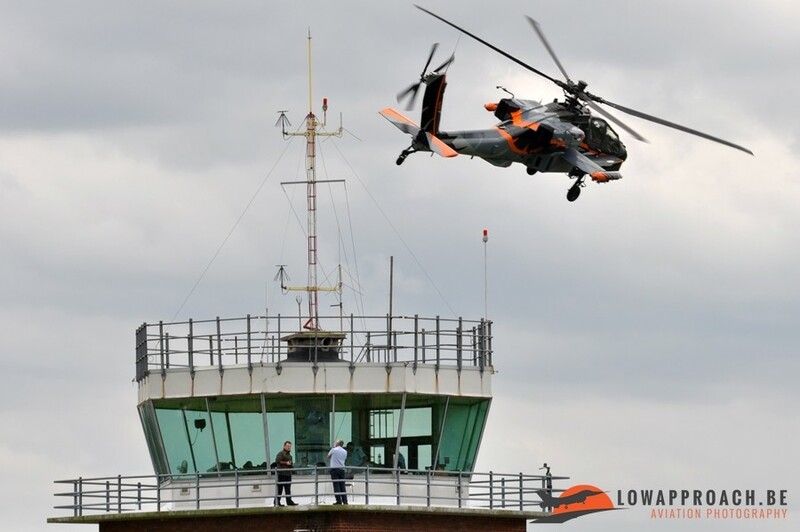 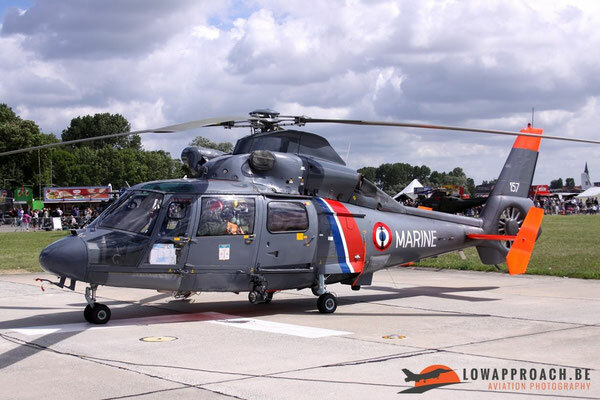 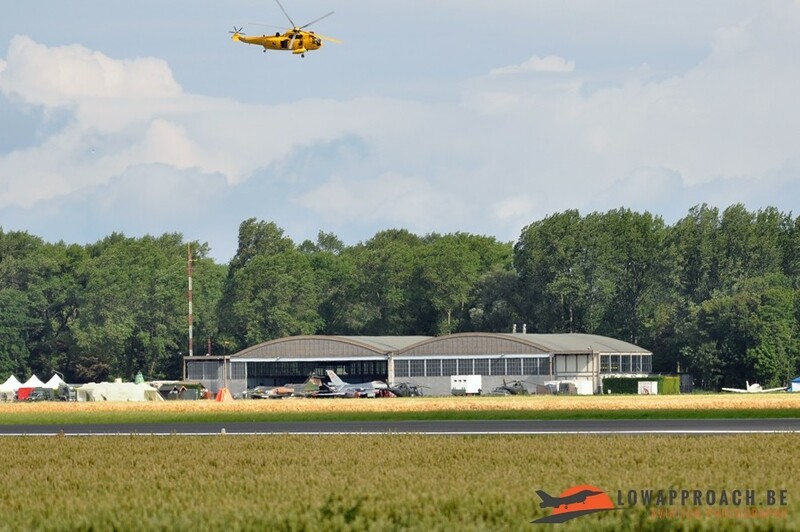 The main themes for the airshow were the celebration of the 65th anniversary since the establishment of the Belgian Air Force in 1946, the 50th anniversary of SAR-operations in Belgium, the 40th anniversary from the Al-3 and the 35th anniversary of the Seaking MK.48 in Belgian service. 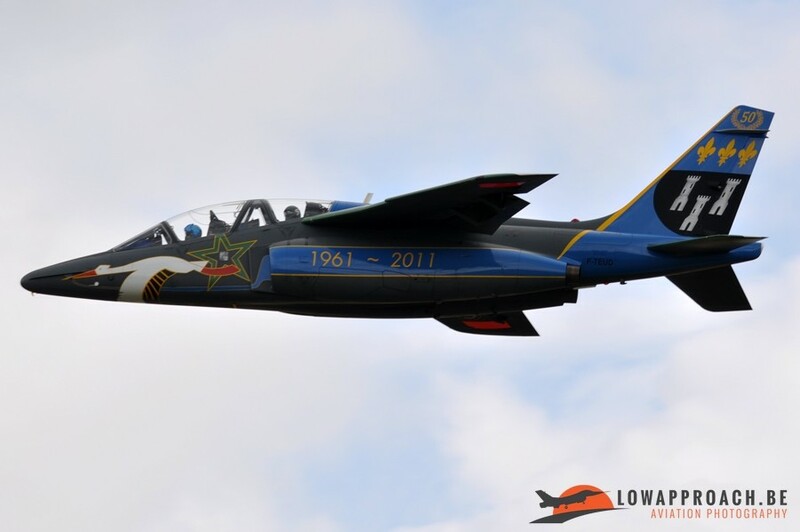 To celebrate all these anniversaries properly the Belgian Air Force wanted to give the people a big airshow. 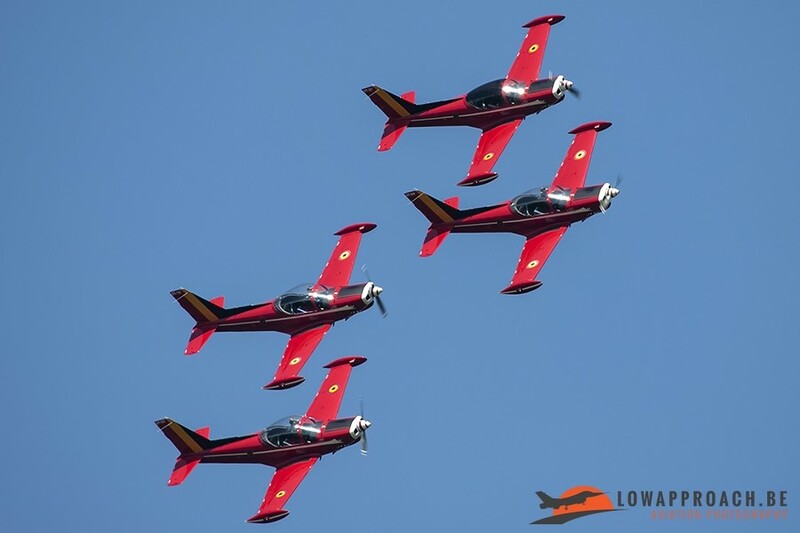 But like every year, the weekends from May until the end of September are mostly filled with airshows all over Europe and each airshow tries to attract as many interesting participants as possible. 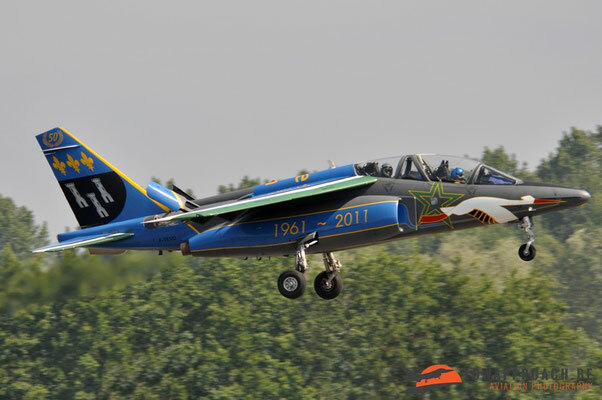 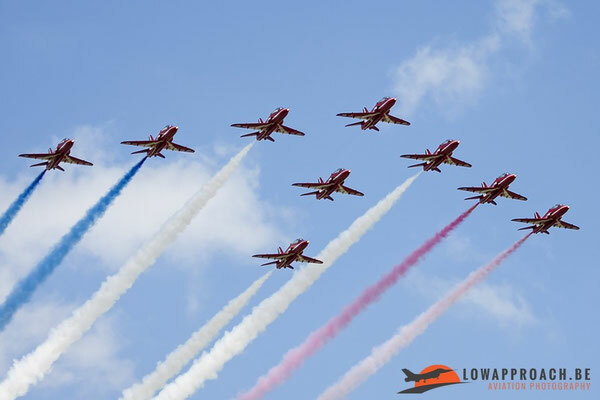 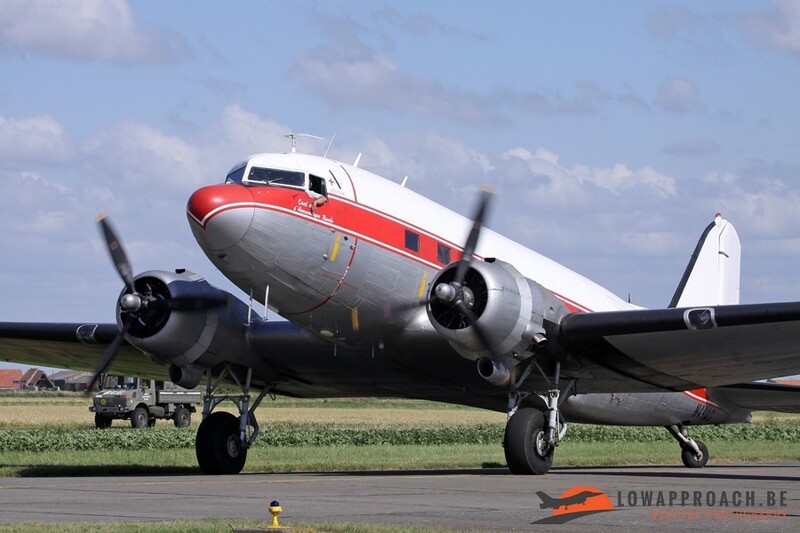 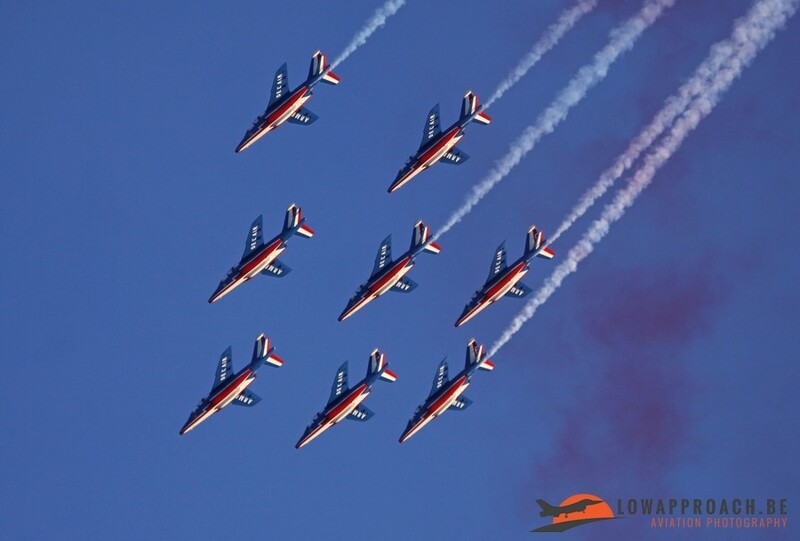 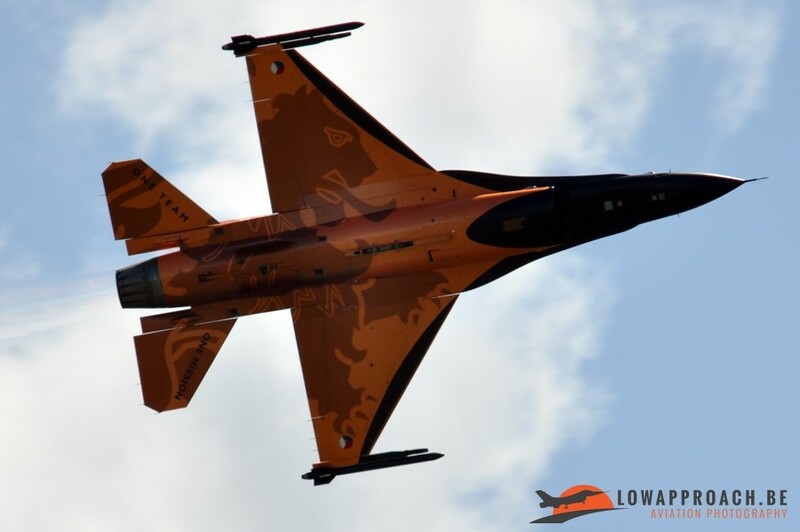 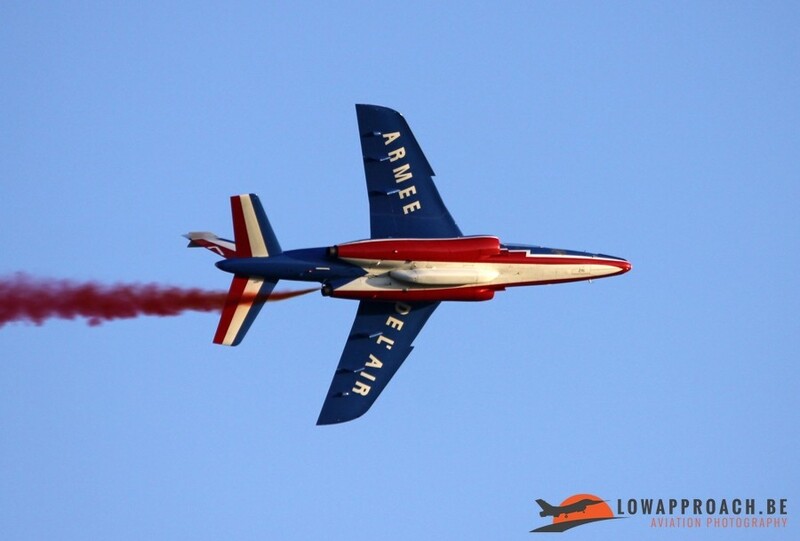 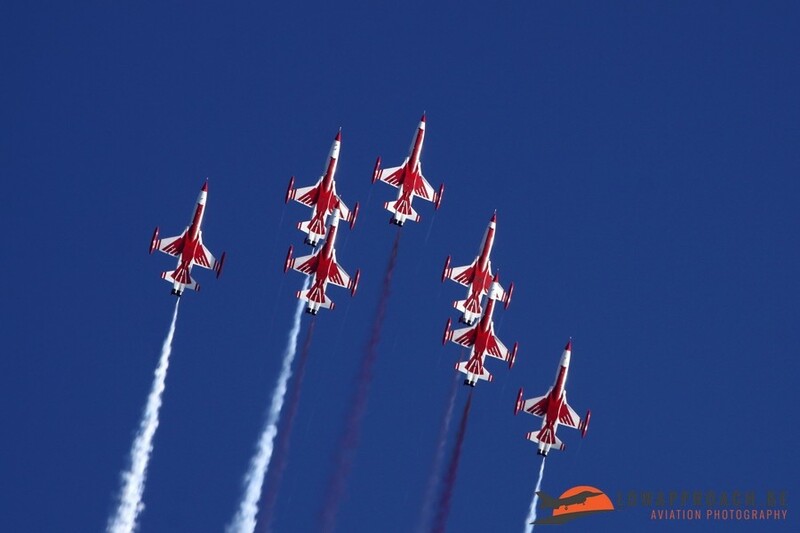 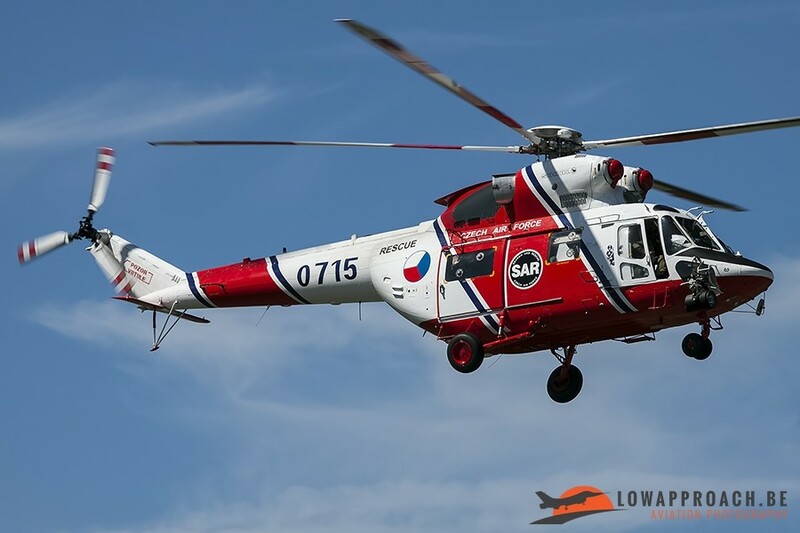 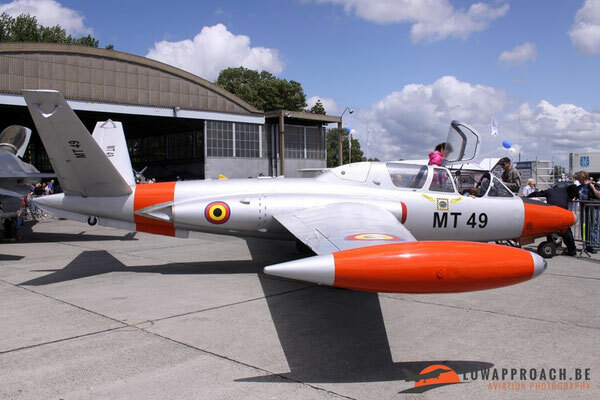 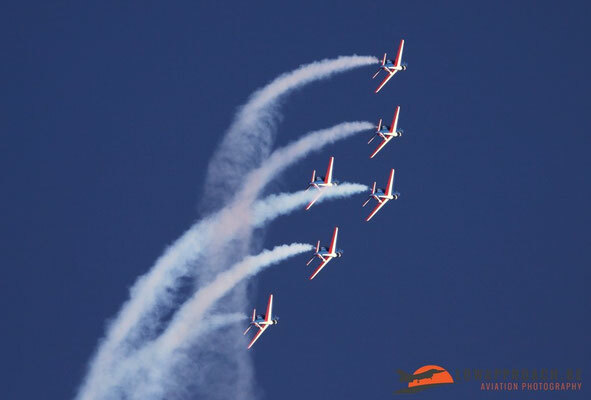 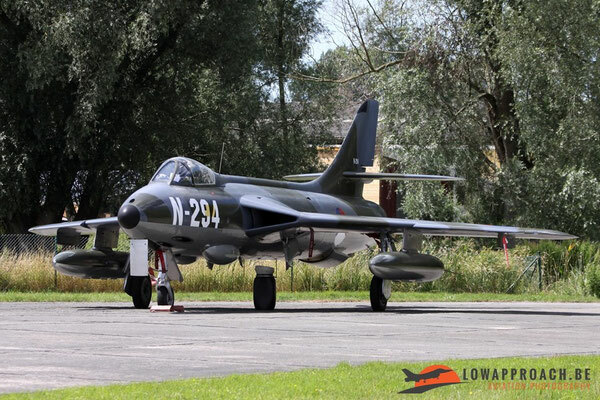 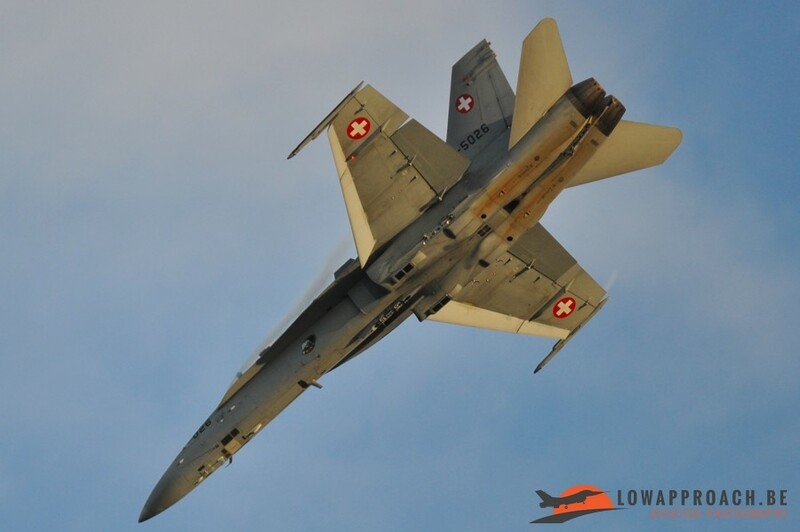 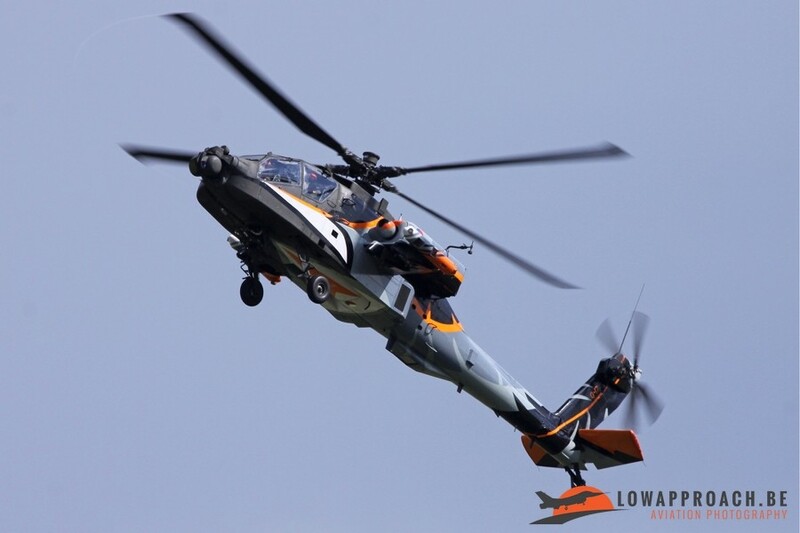 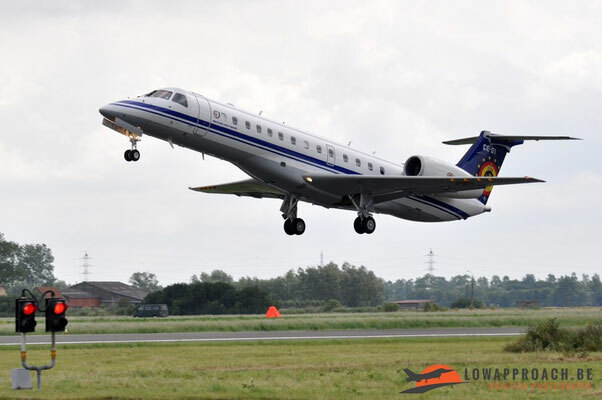 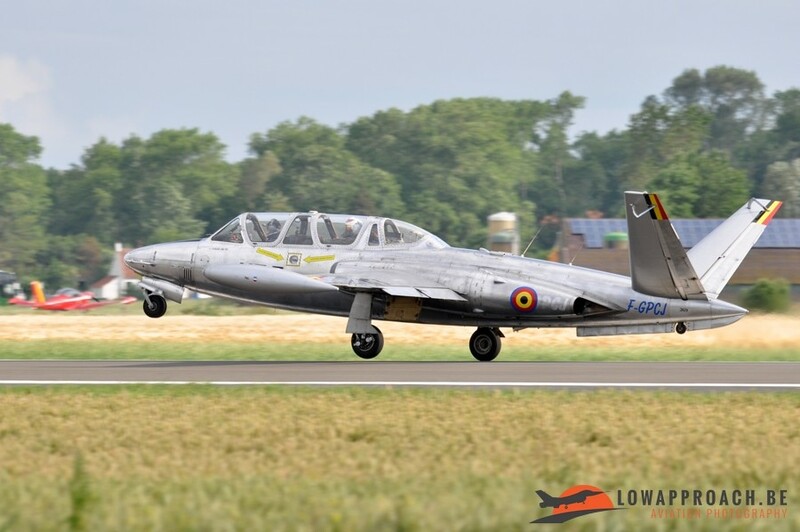 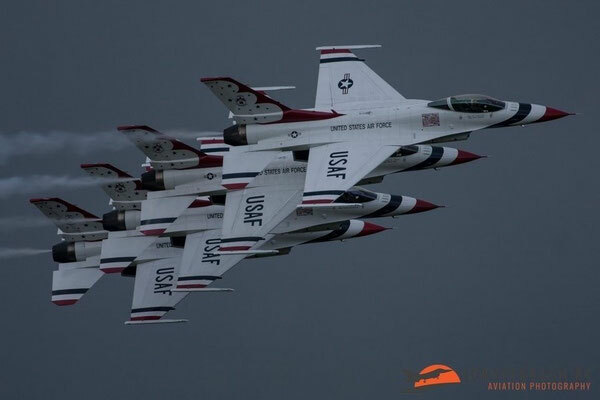 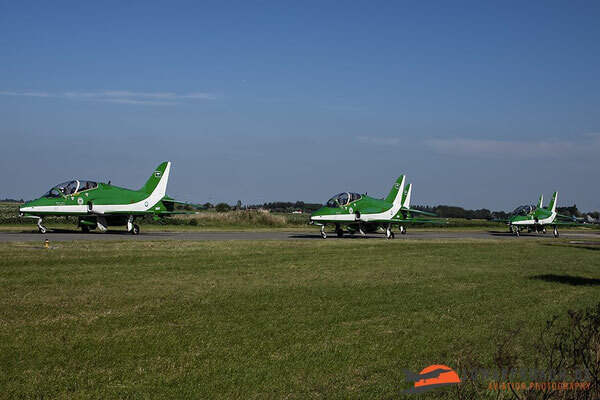 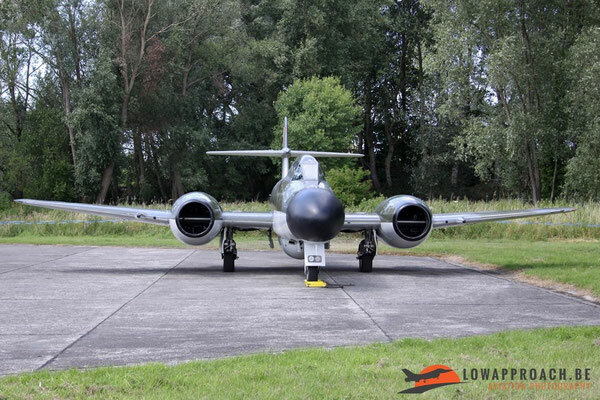 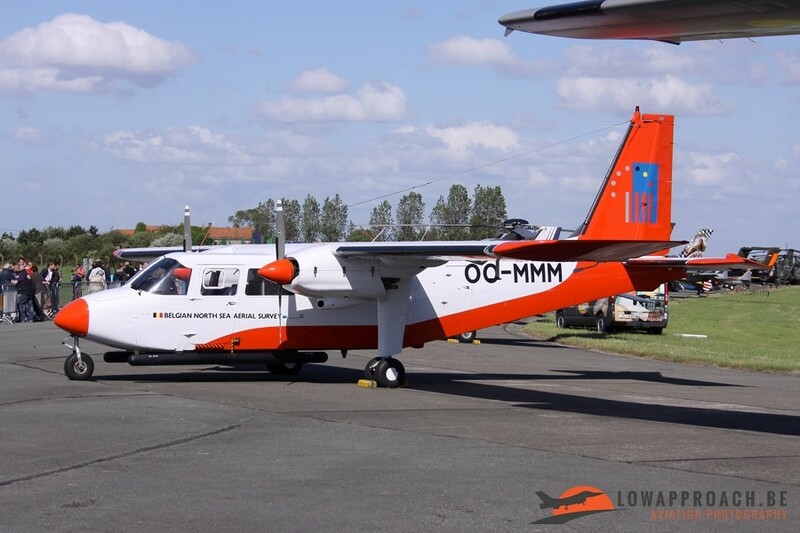 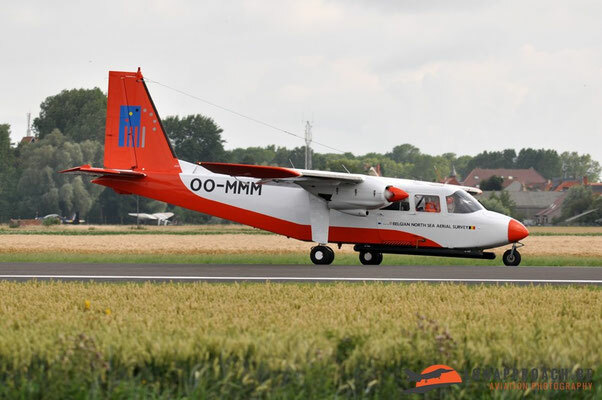 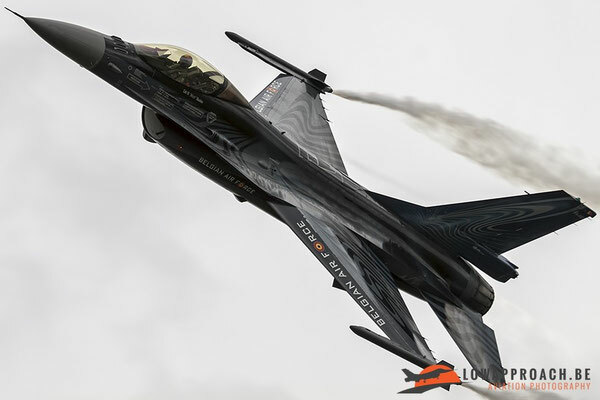 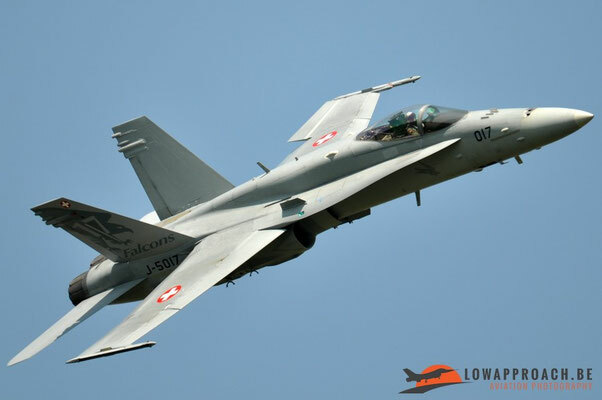 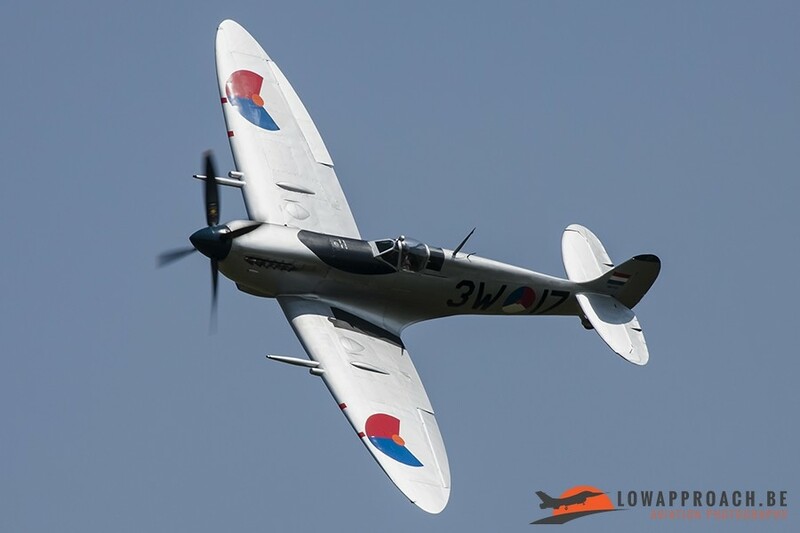 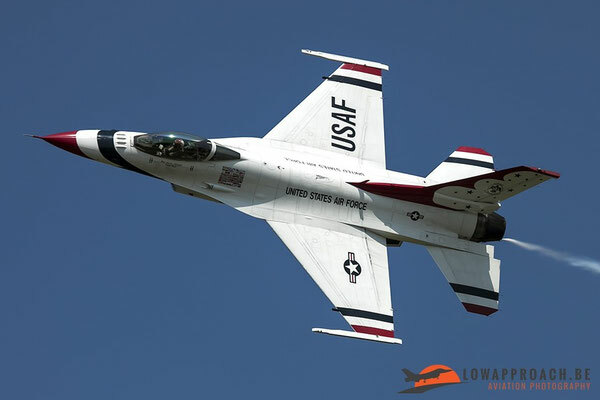 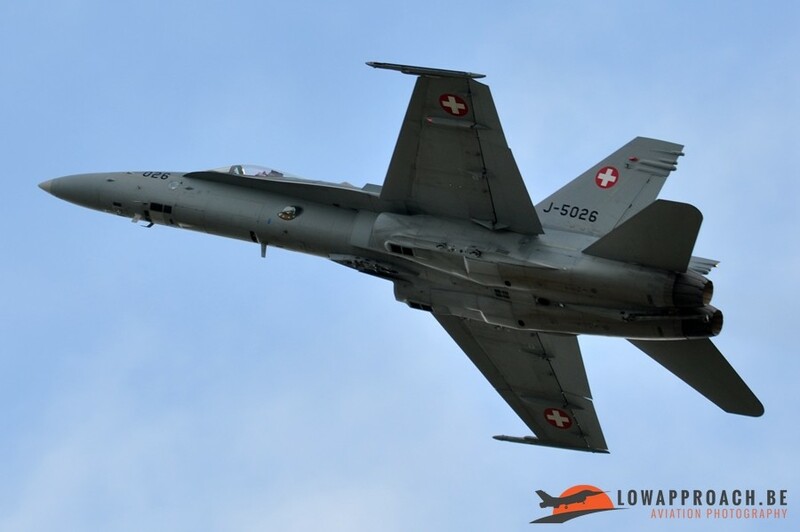 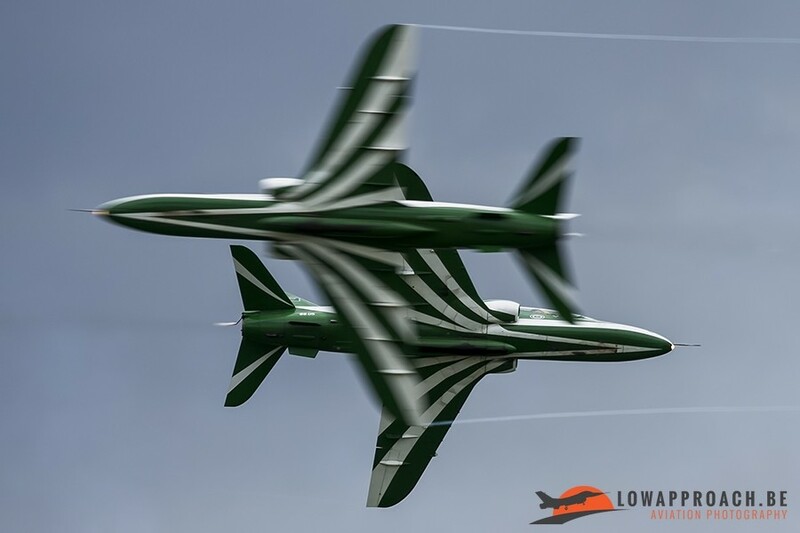 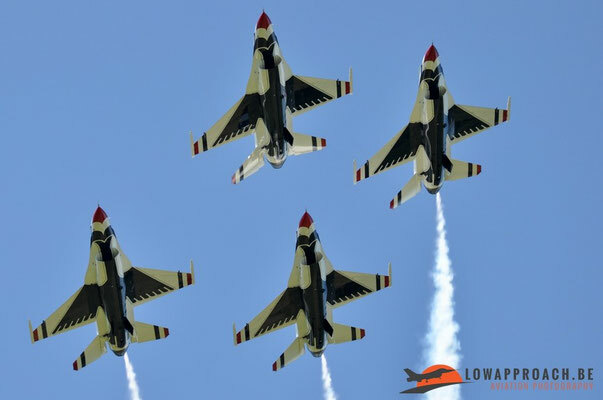 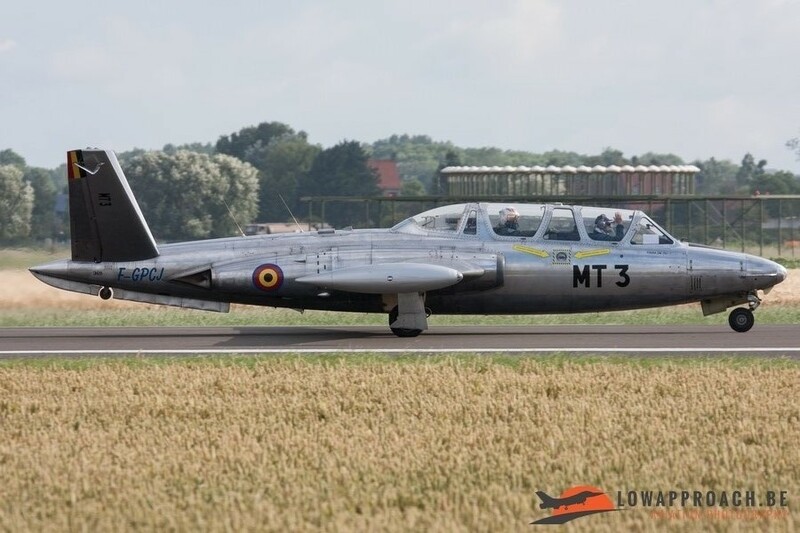 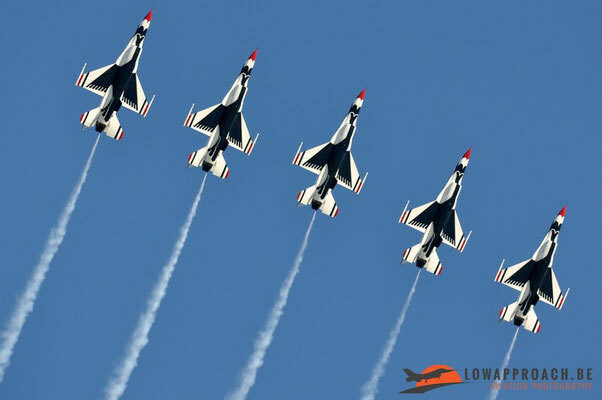 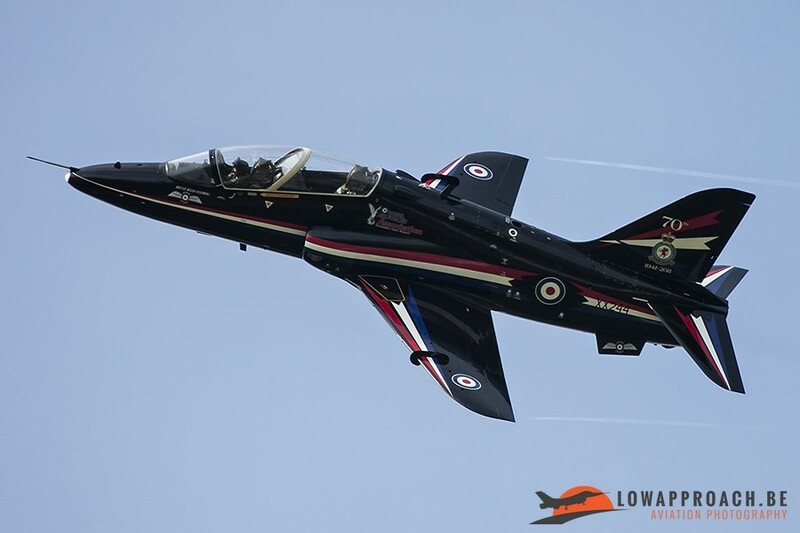 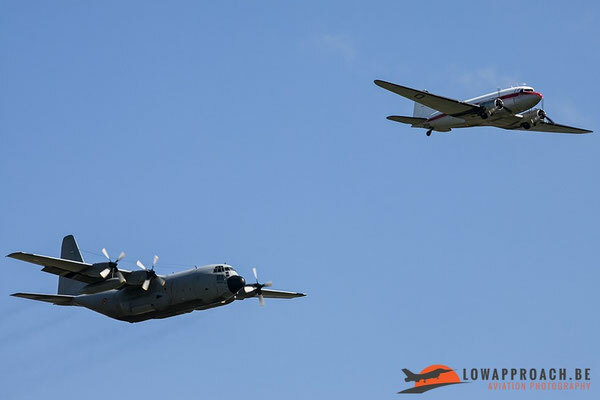 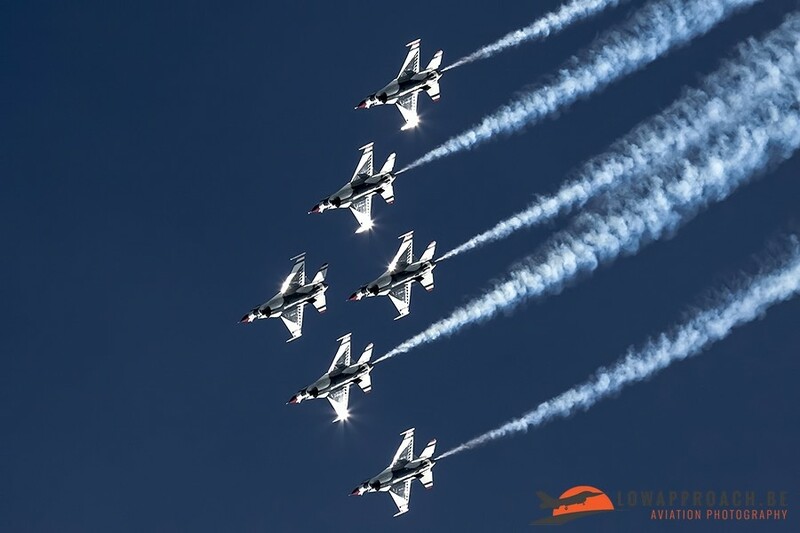 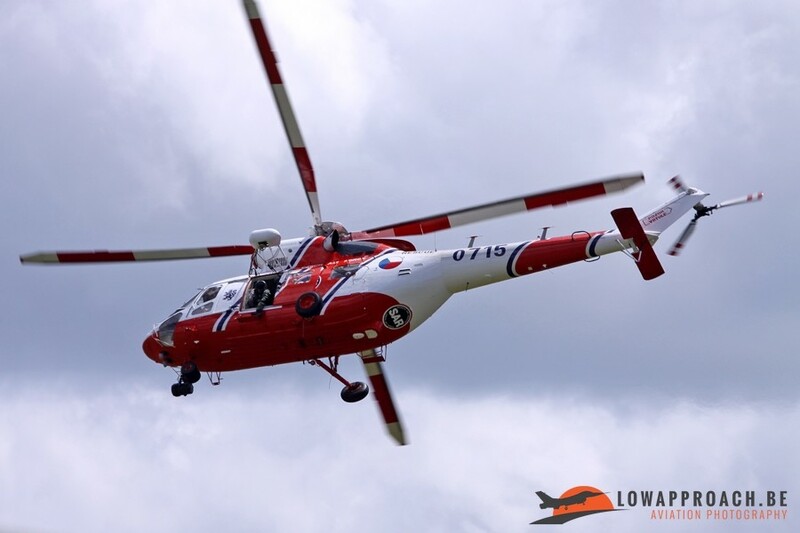 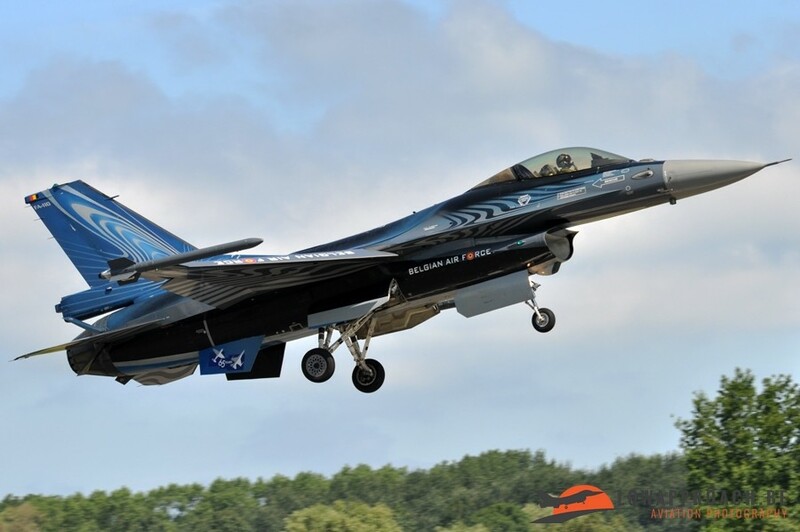 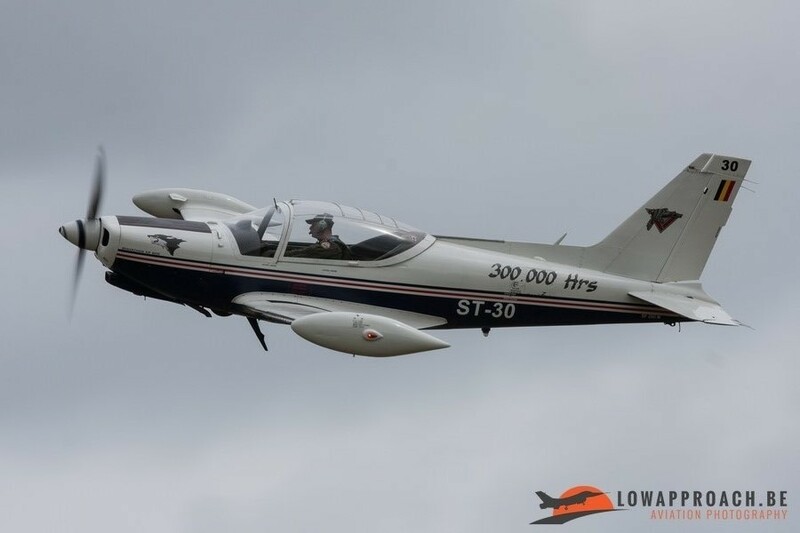 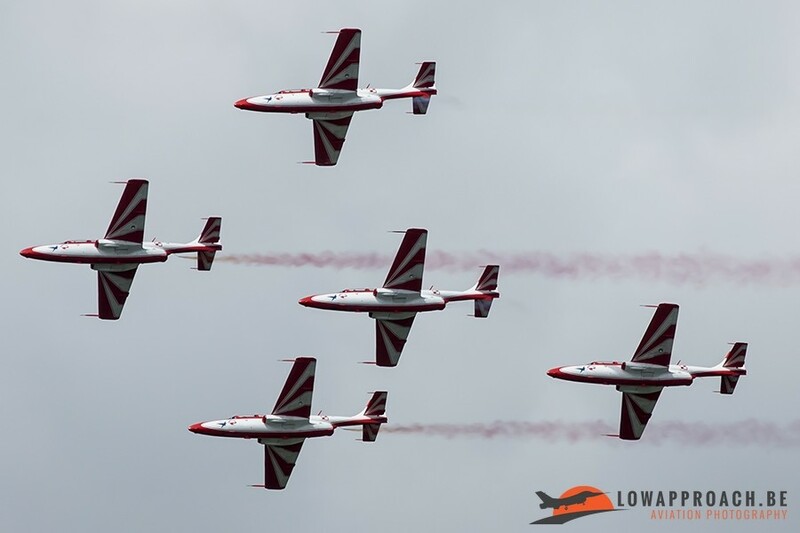 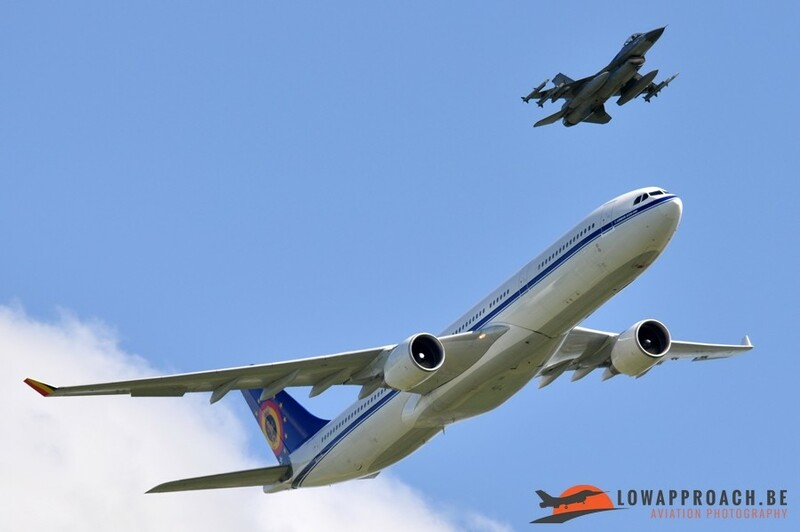 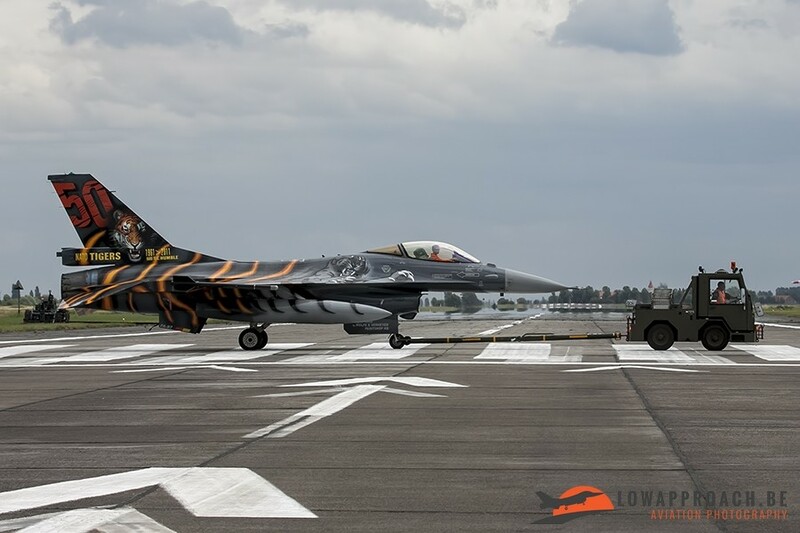 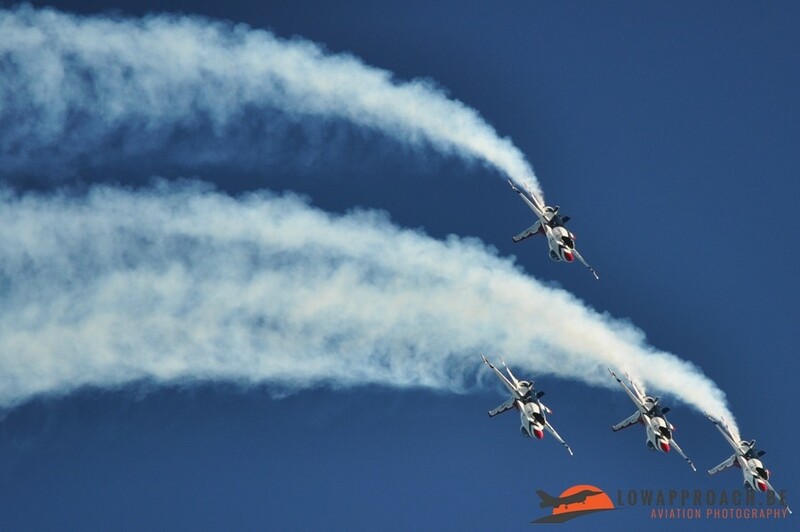 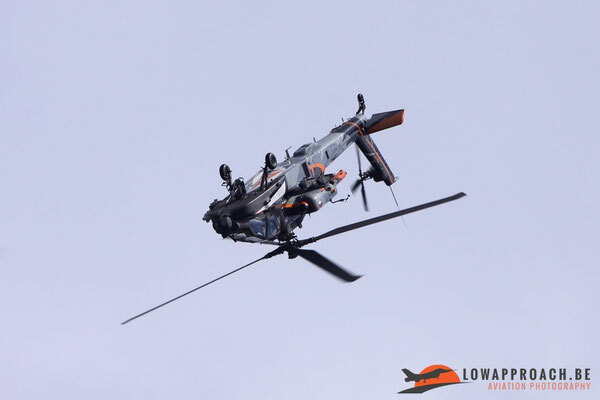 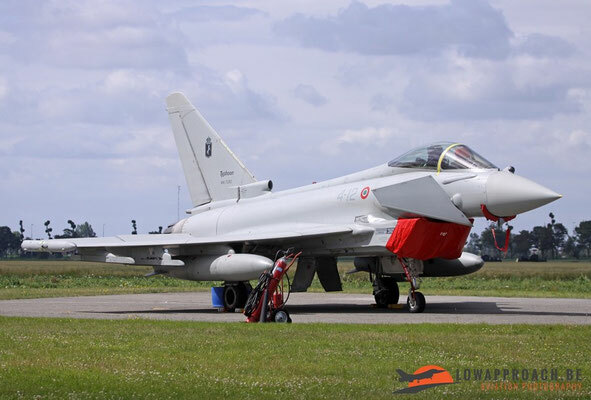 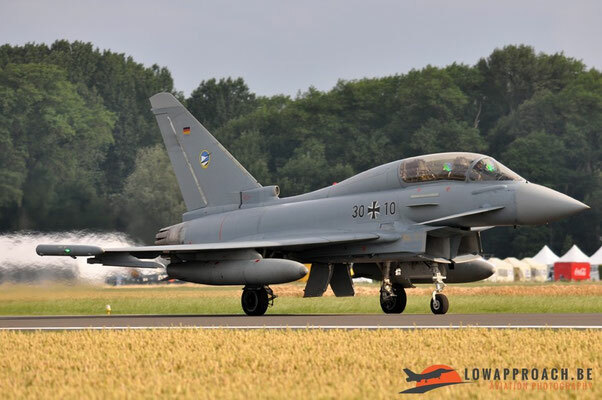 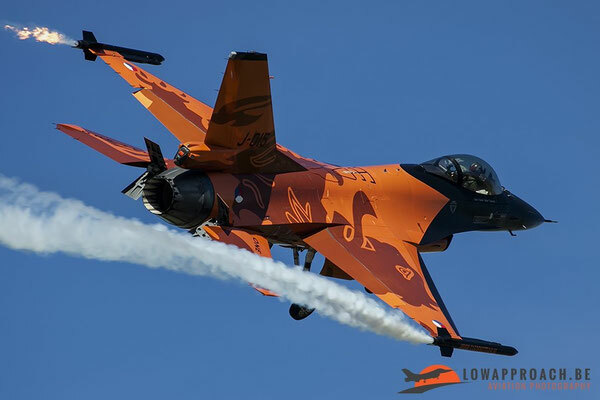 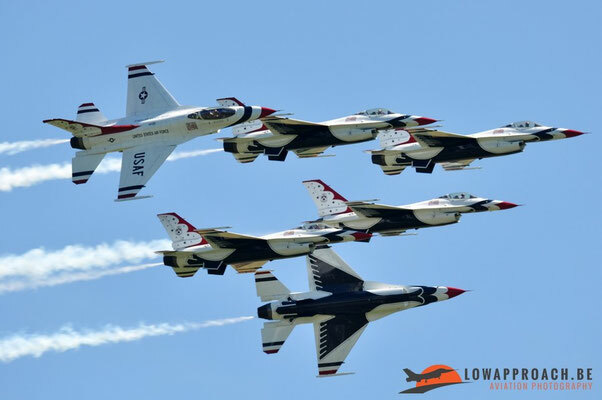 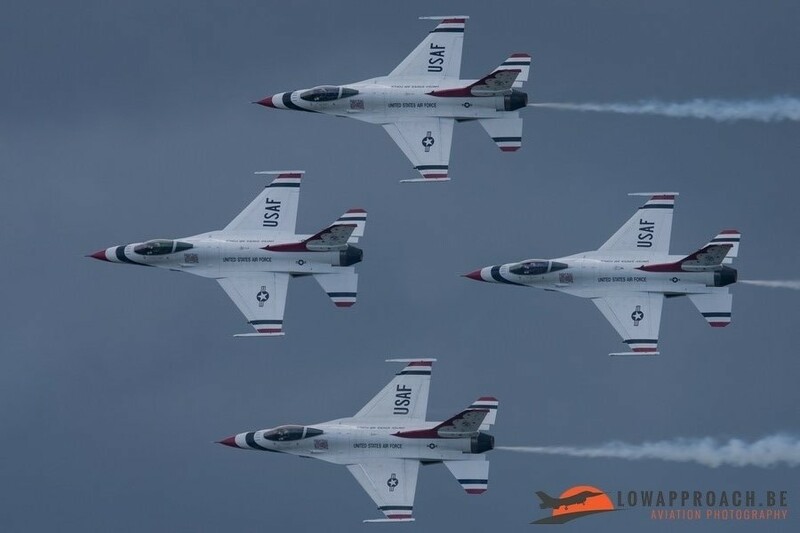 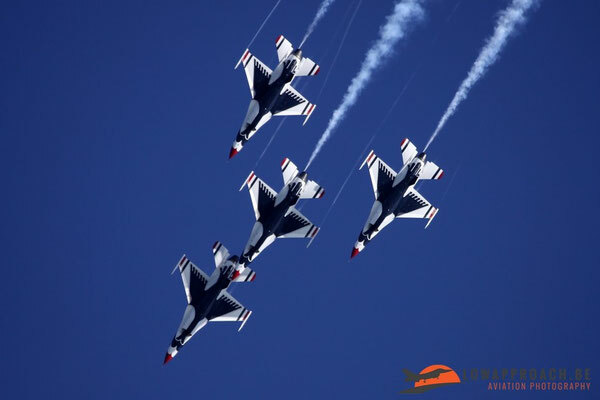 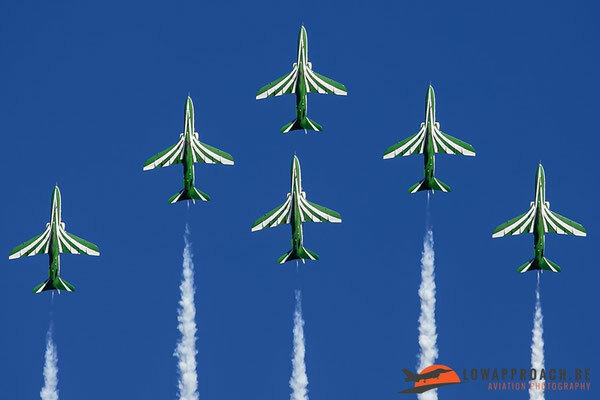 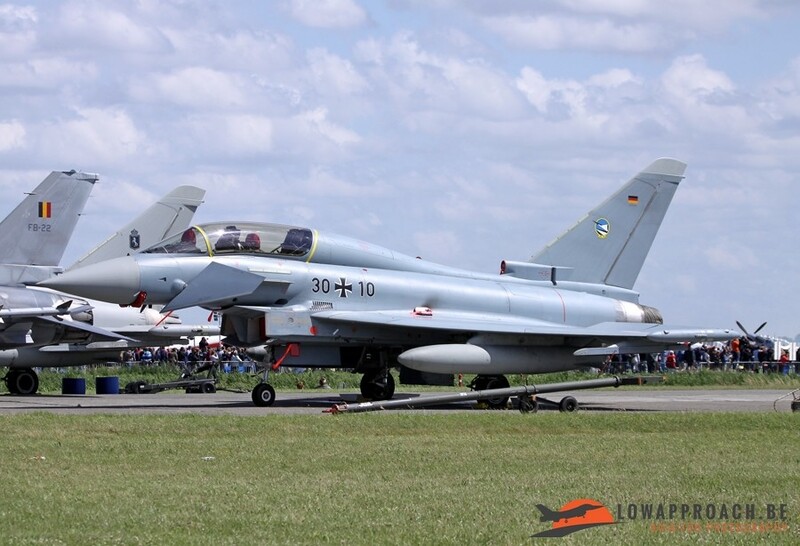 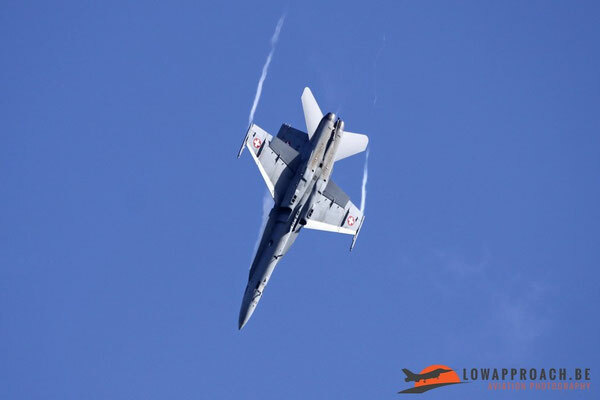 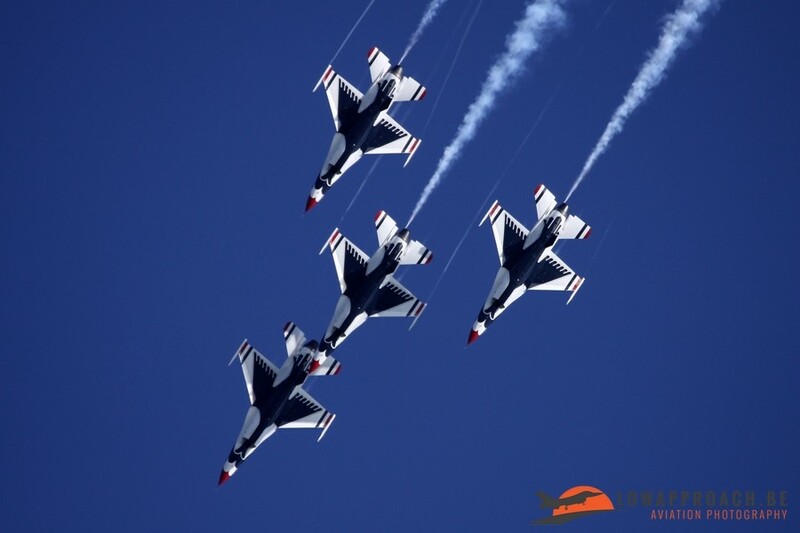 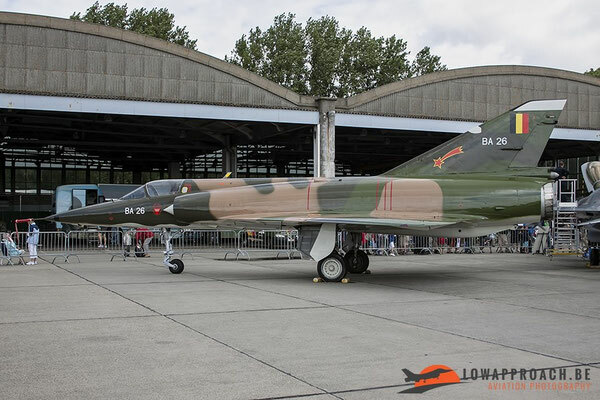 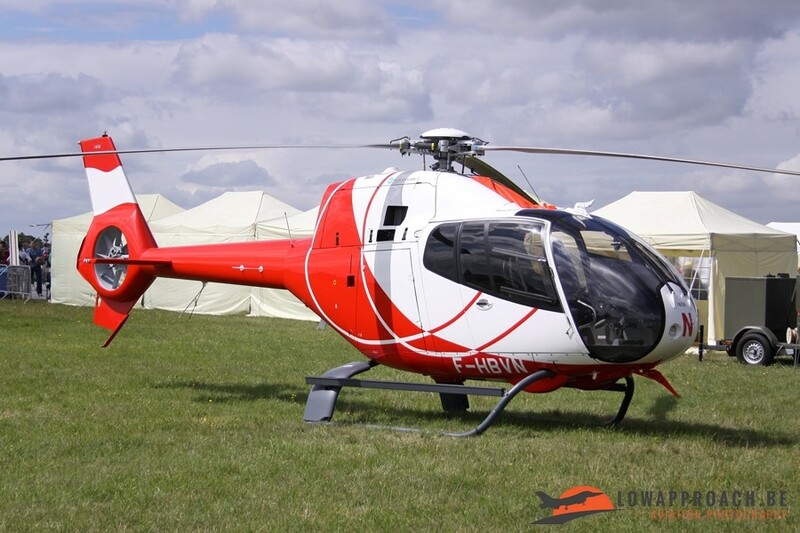 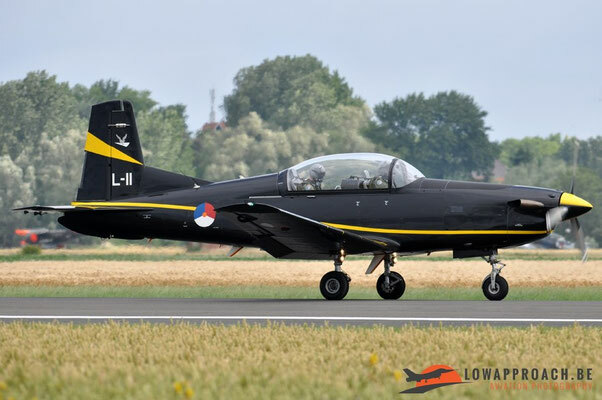 The organizers from the Koksijde International Airshow also knew this and off course they also wanted to attract as many interesting participants as possible. 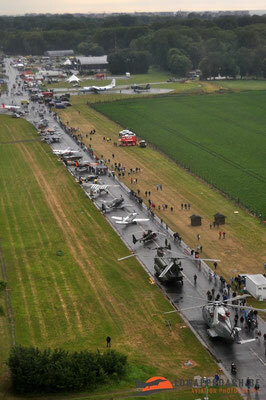 To avoid losing interesting participants to other airshows that were normally held on the same weekend the organizers decided to hold the airshow during the week, instead of during a weekend, which turned out to be a really good decision looking at what aircraft and teams they managed to bring to the airshow. 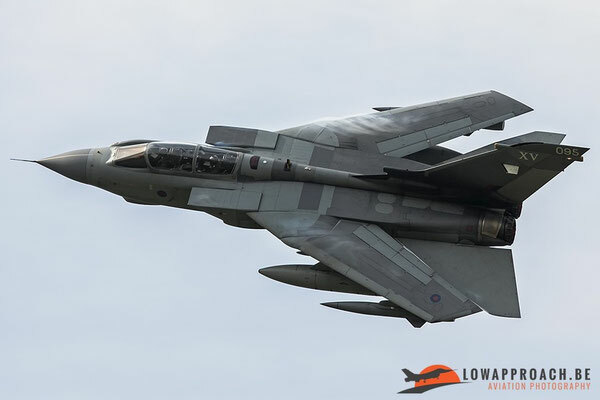 On Monday and Tuesday we could see the aircraft arrive and the ones that were present in the flying program could be seen rehearsing their demo. 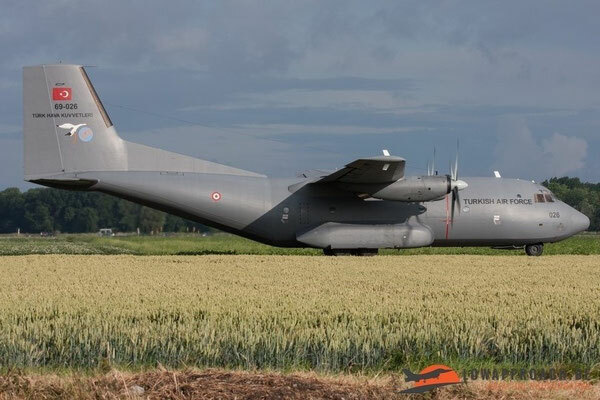 An advantage of spotting at Coxyde is that you can take some nice photographs from outside because you can position yourself close to the runway with the sun in your back. 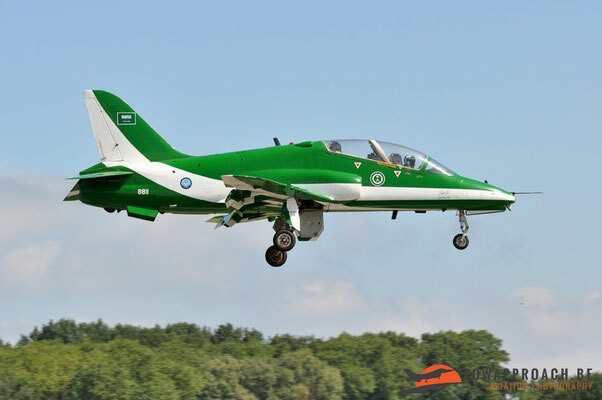 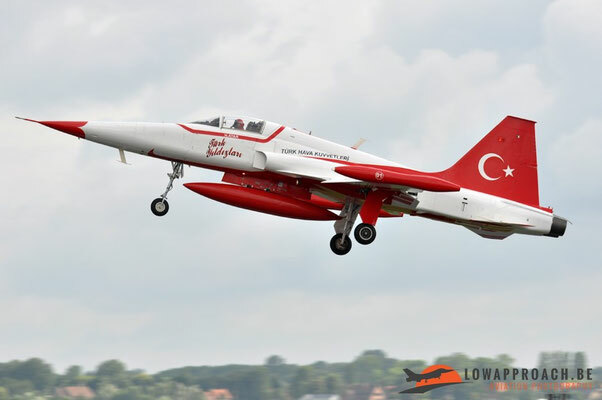 A small summary from the most impressive movements on the Monday where those of: The arrival from Saudi Hawks, the USAF Thunderbirds, the Turkish Stars and all the teams support aircraft, the arrival from the Czech Air Force W-3A Sokol. 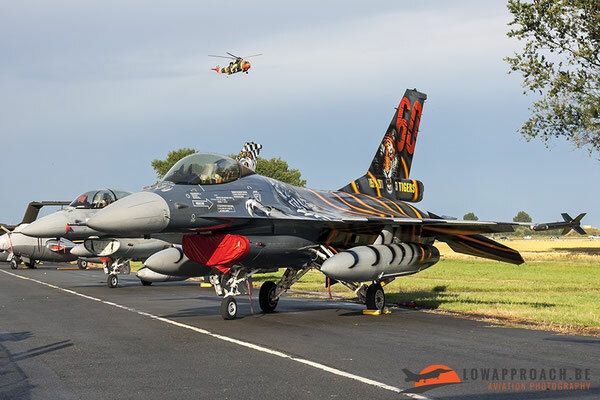 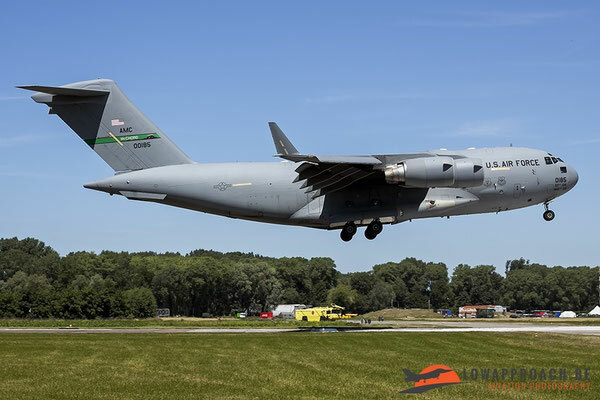 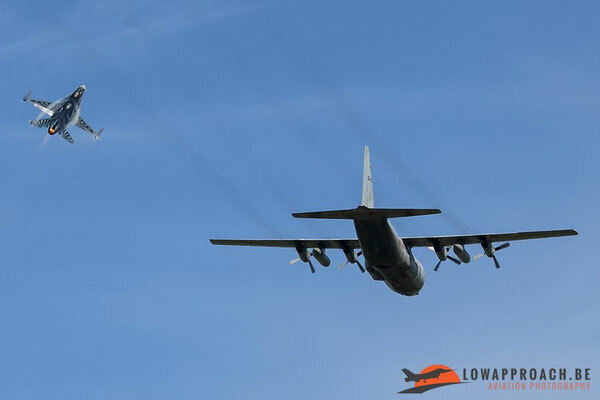 Other interesting things to see was the photoflight from the Belgian F-16 demo with a C-130 which made a nice pass over the airfield before landing and off course the rehearsals from the participating planes in the flying program. 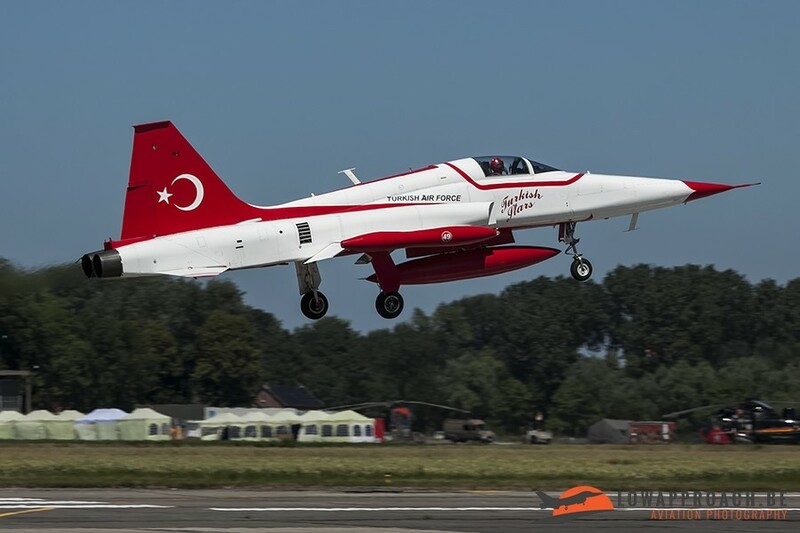 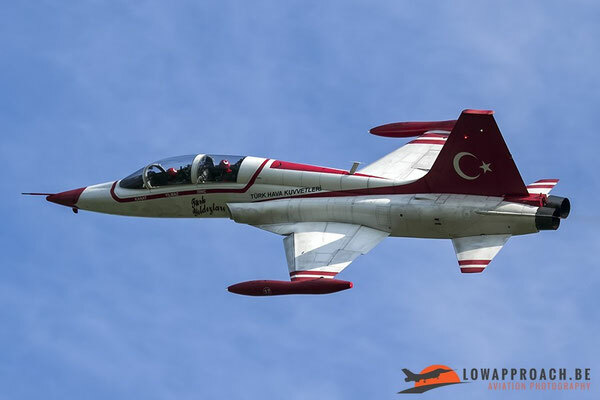 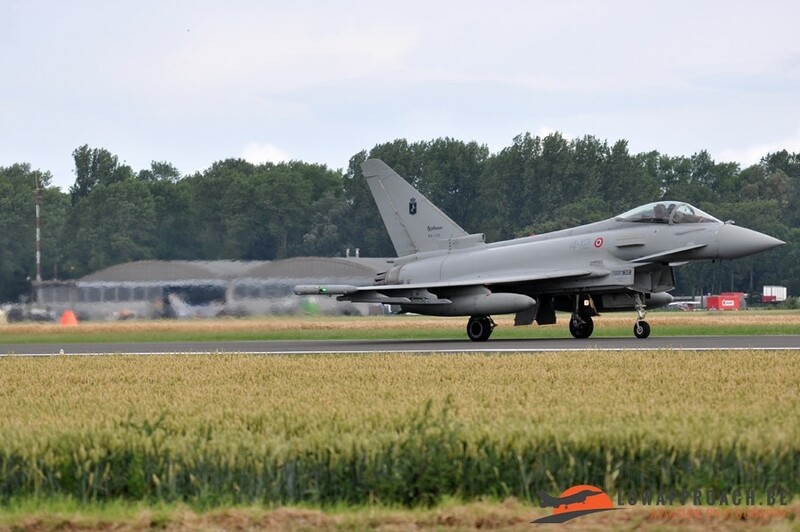 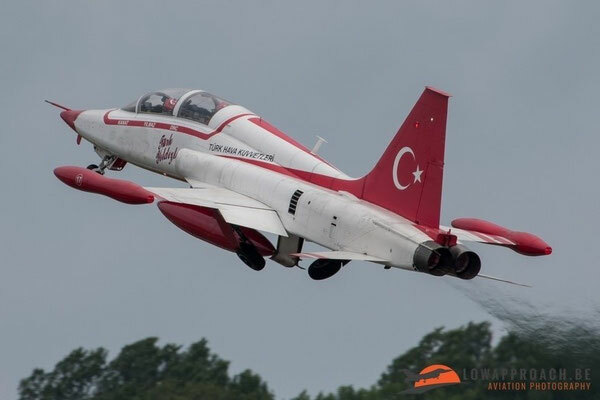 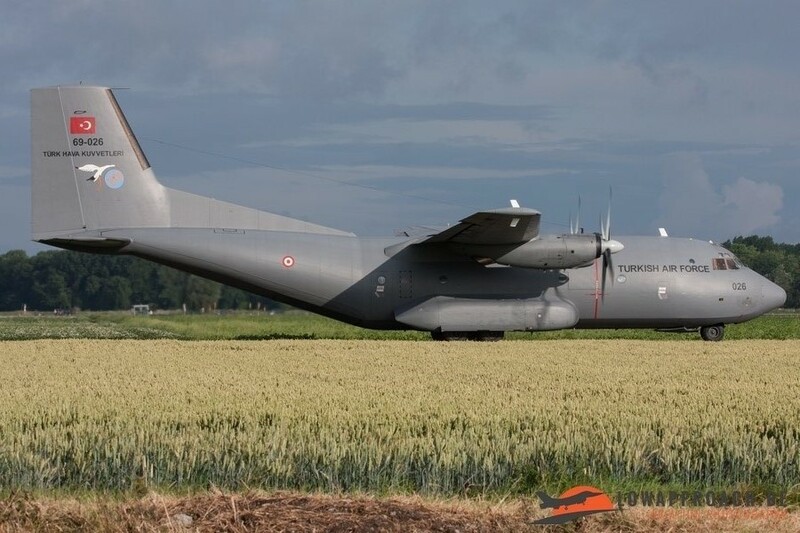 On Tuesday the vicinity around Coxyde airbase was woken up by the early rehearsal from the Turkish Stars. 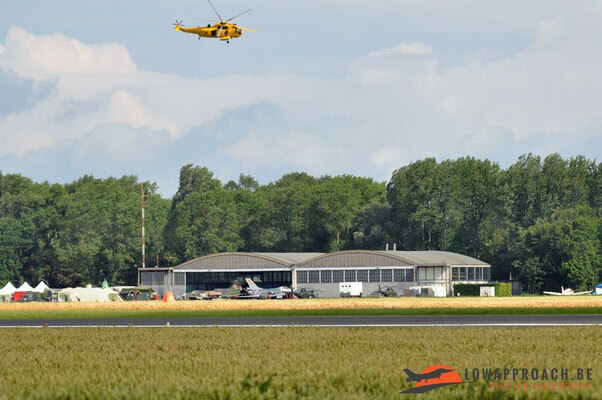 Shortly afterwards the remaining aircraft that were confirmed started to arrive. Throughout the day there were also numerous rehearsals from aircraft and display teams with probably the biggest one the rehearsal from the USAF Thunderbirds. The airshow on Wednesday only started around noon and lasted until around 22h00. 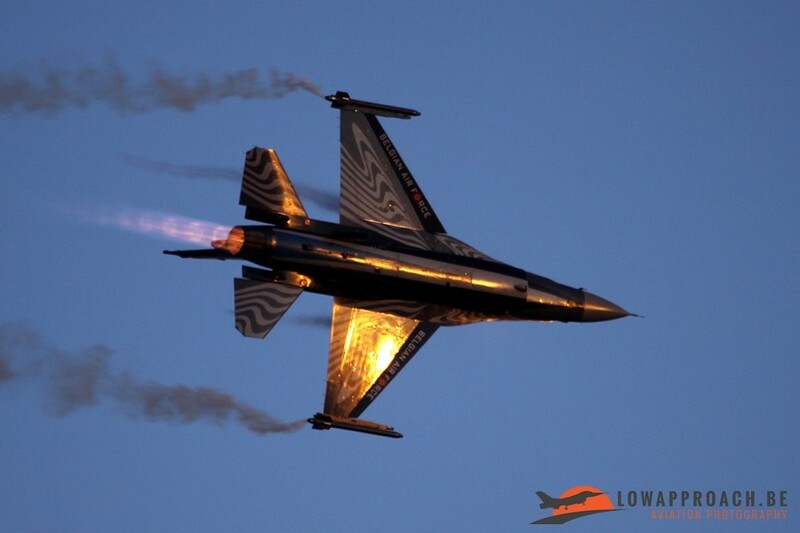 This resulted in a nice sunset airshow. Another advantage of the late start of the show is that you don’t have the sun in front of you the whole time. This is one of the disadvantages of an airshow at Coxyde. 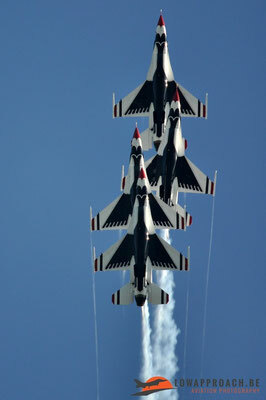 Facing the sun together with the display line that is quite far makes taking pictures rather difficult. 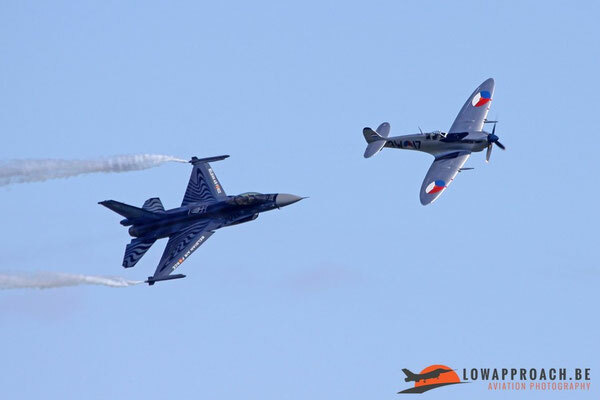 On Thursday there was the normal daytime show, starting around 10h00 untill 18h00. 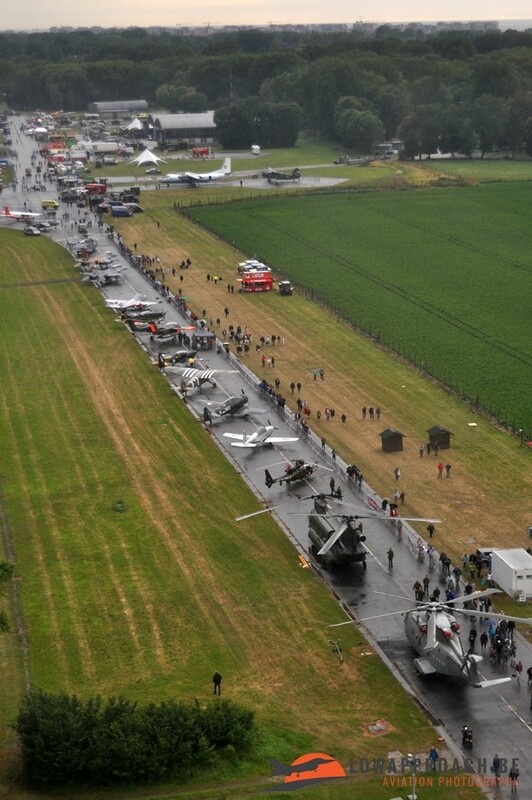 Unfortunately the weather on Thursday wasn’t as good as the previous days. 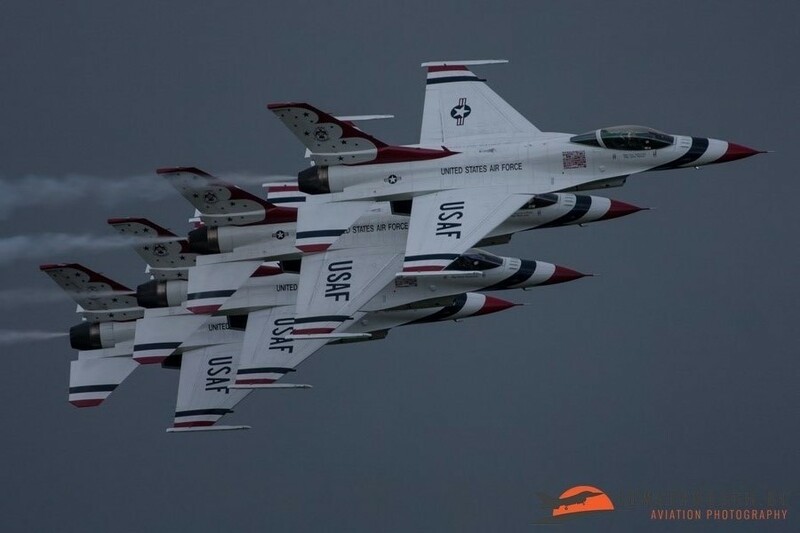 The day started with sunshine but as the show progressed more and more clouds started to appear and towards the end of the show some rain showers appeared which resulted that the Thunderbirds had to cut their display short due to heavy showers. 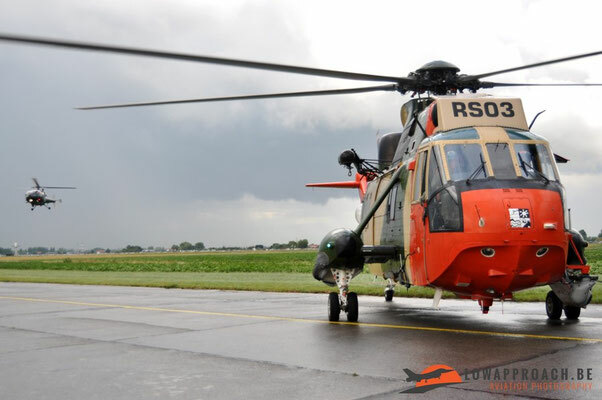 At the end of the show Lien and Tim had the luck to get a flight with the Sea King MK.48 which until this day remains a wonderful experience! 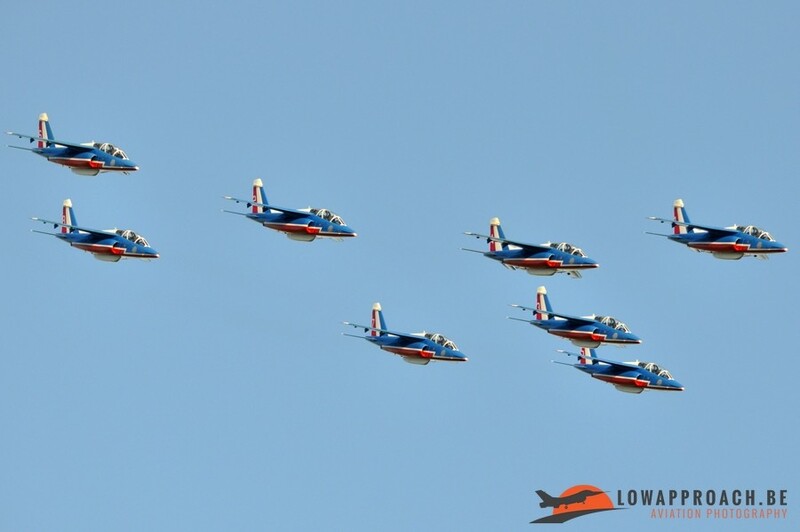 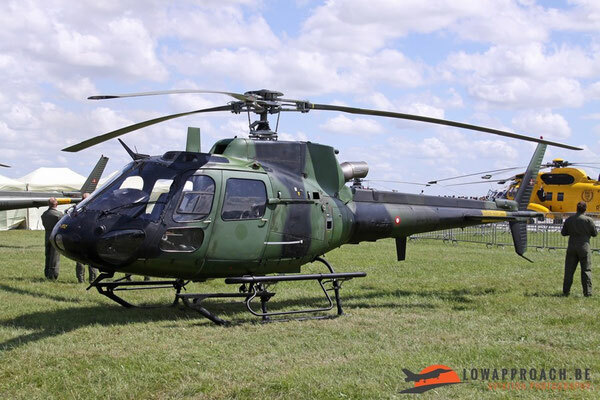 Both showdays were filled with a nice mix of jet power, display teams, helicopter displays, old and new aircraft,… For the celebration of the Belgian Air Force a couple of special formation flights were performed. Formation passes from old and new planes could be seen as for example a couple of formation passes from an DC-3/C-47 and a C-130, an SV-4 together with an SF-260 and a Spitfire together with an F-16 to name a few. 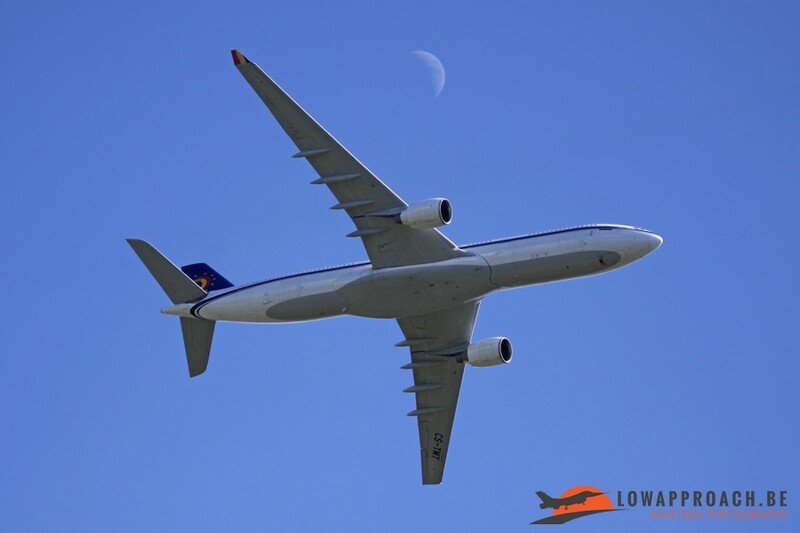 Like already said, the flying program contained some really nice items. 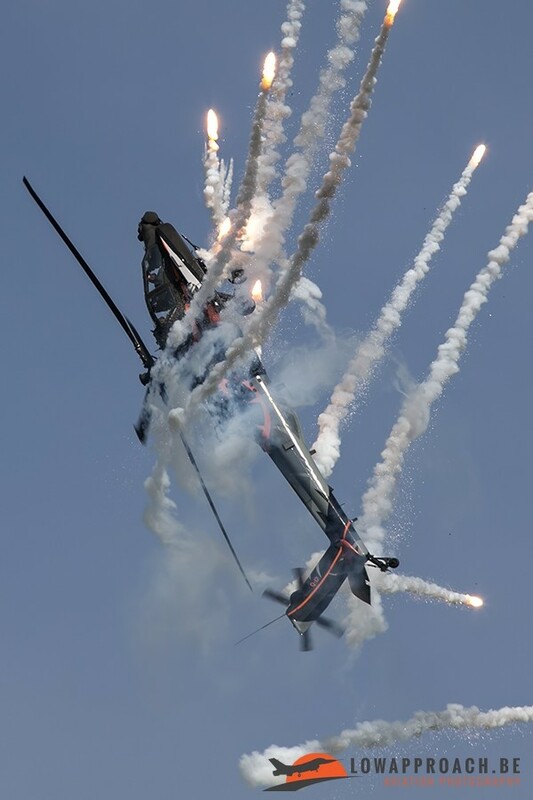 But there were also some real gems displayed in the static part of the show. 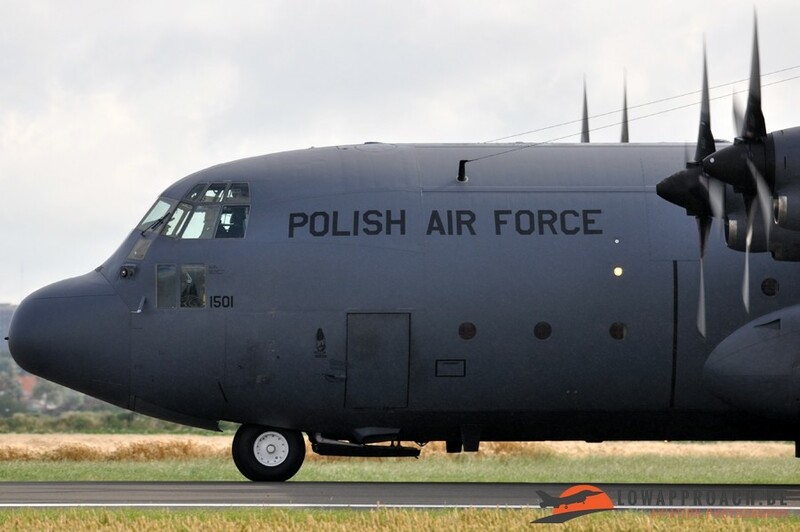 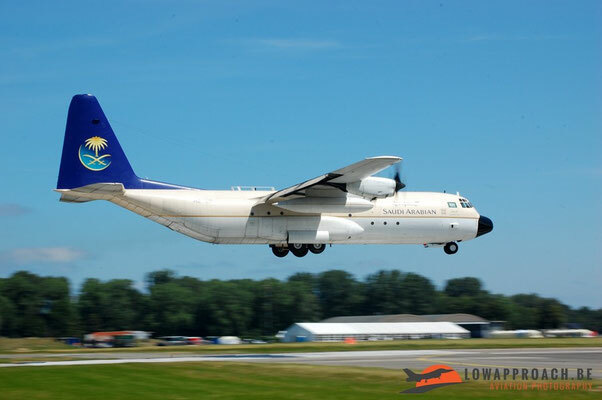 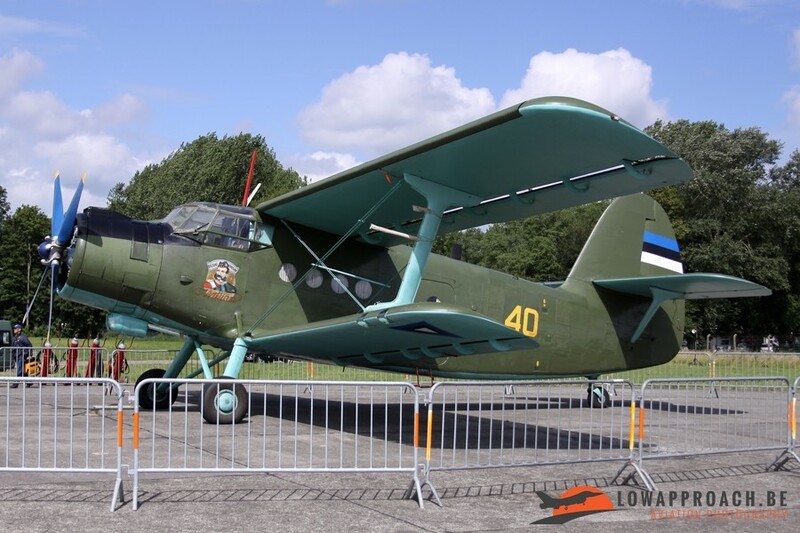 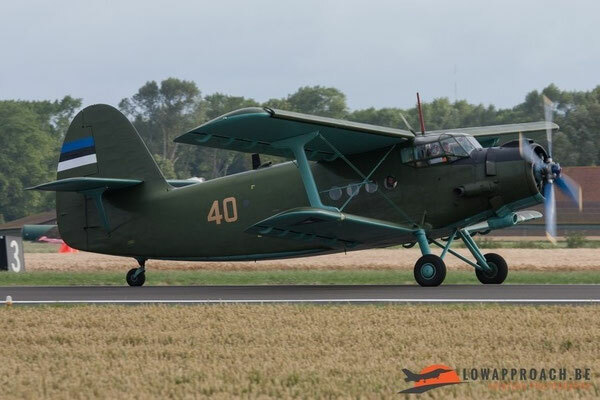 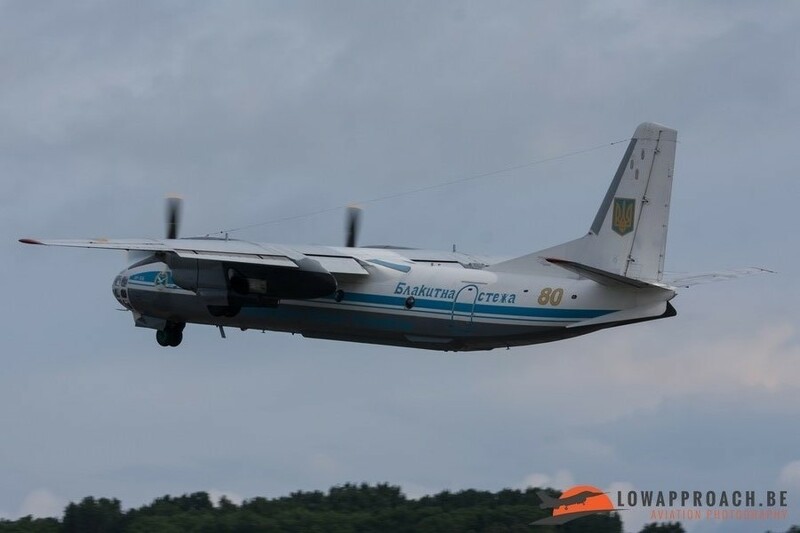 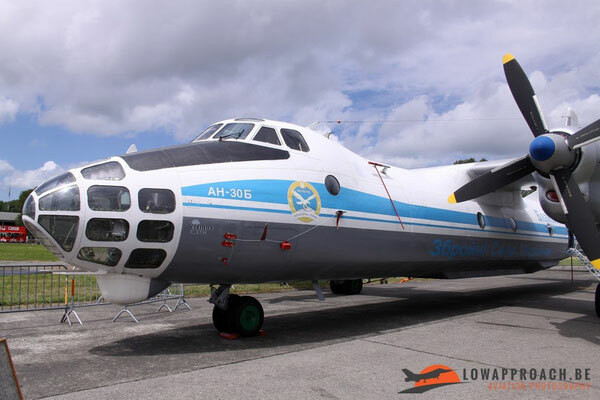 A few examples of those were the An-2T from the Estonian Air Force, an An-30 from the Ukrainian Air Force and an Mi-8MTV from the Polish Navy, types you don’t see very often at airshows on this side of Europe. 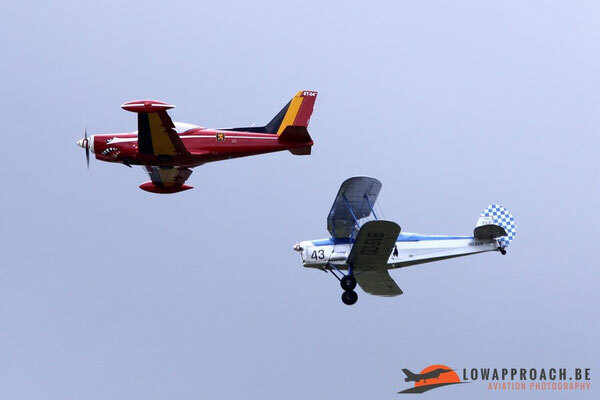 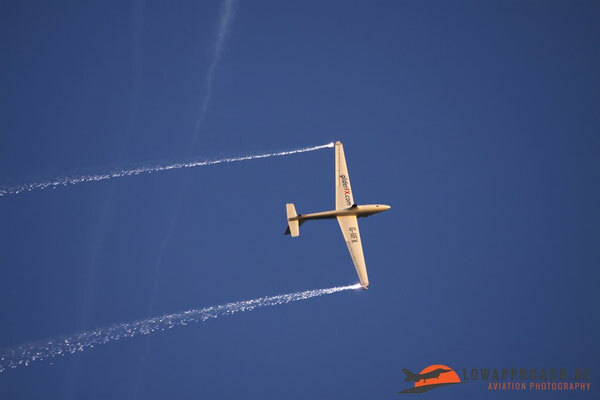 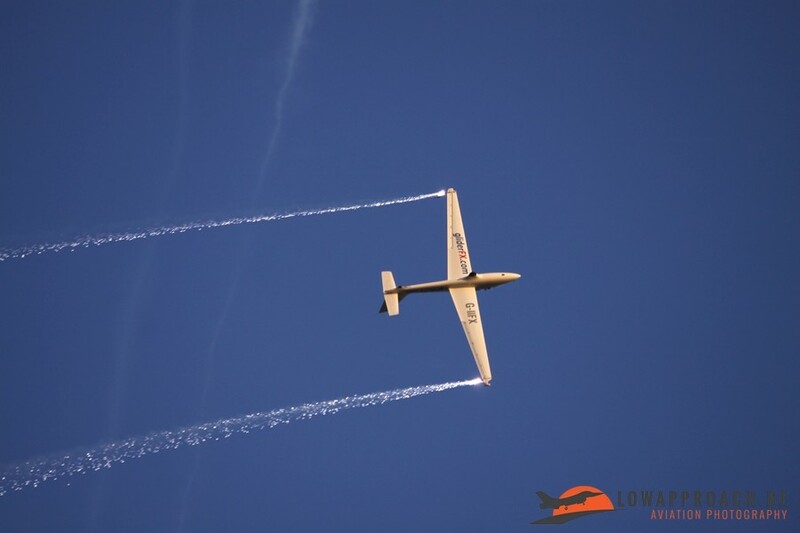 On Friday there were the departures and the organization had organized a spotter’s day for the aviation enthusiasts. 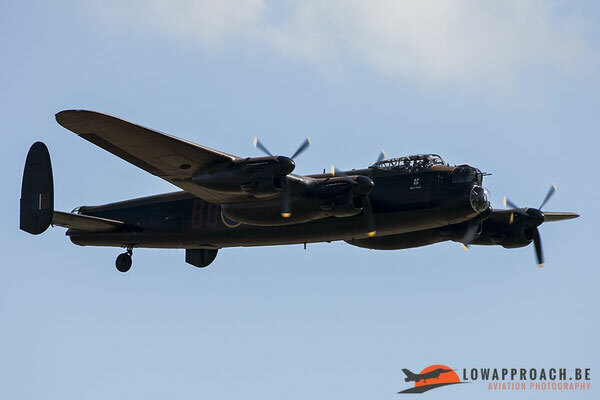 We were put close alongside the runway on the southside of the field so we had the sun in our back. 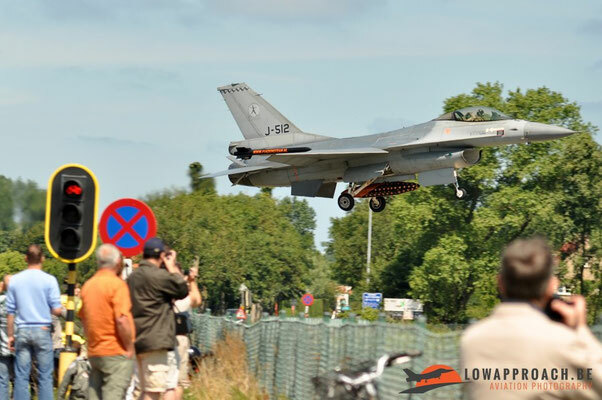 Most of the participants backtracked via the main runway so they could be easily photographed while passing by. Coxyde International Airshow was a really great airshow with some interesting participants, in the flying program as well as in the static part of the show. 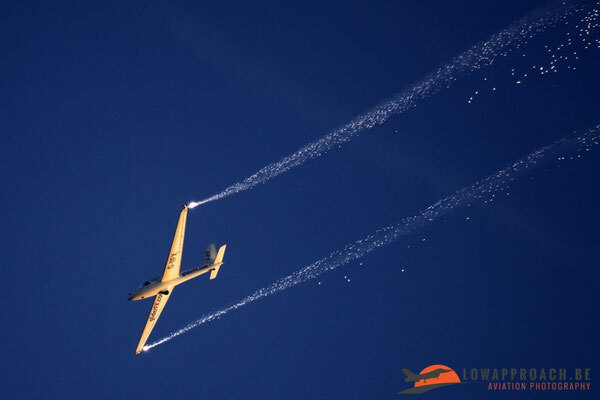 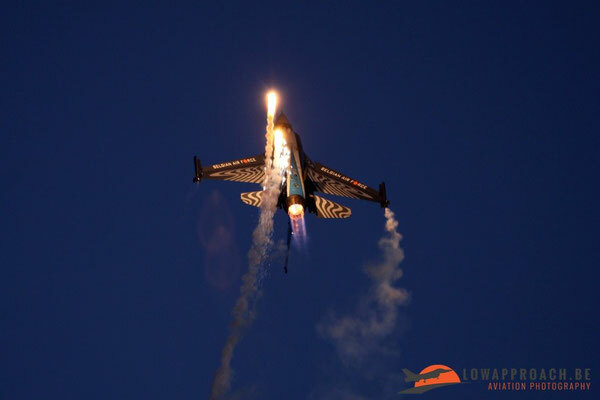 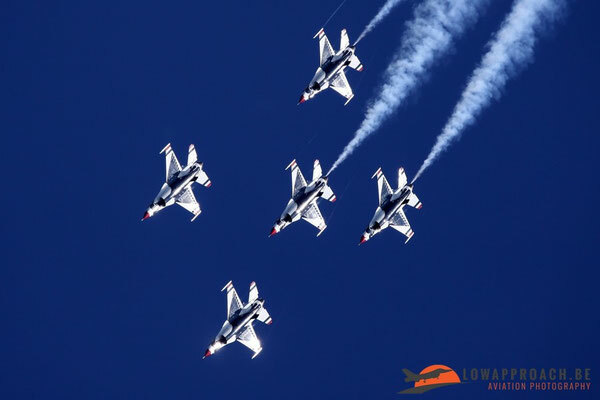 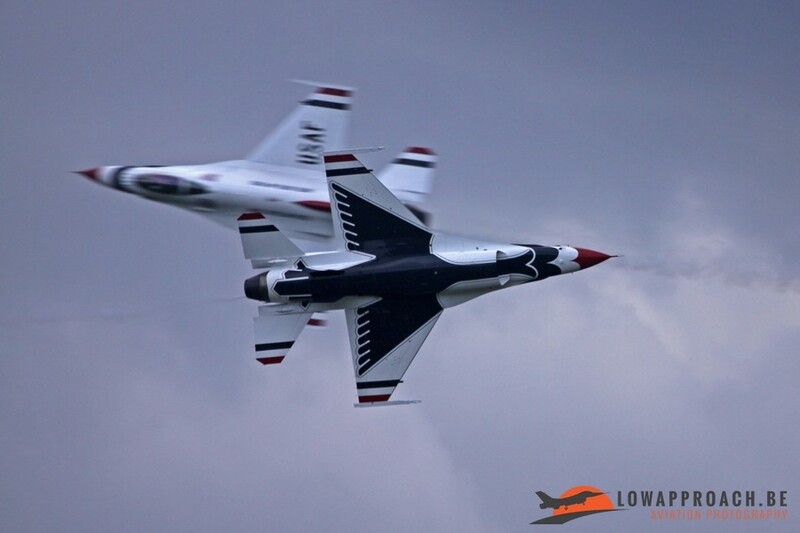 The organizers did a great job to celebrate the themes from the airshow as good as possible and I think it’s safe to say that they certainly succeeded.